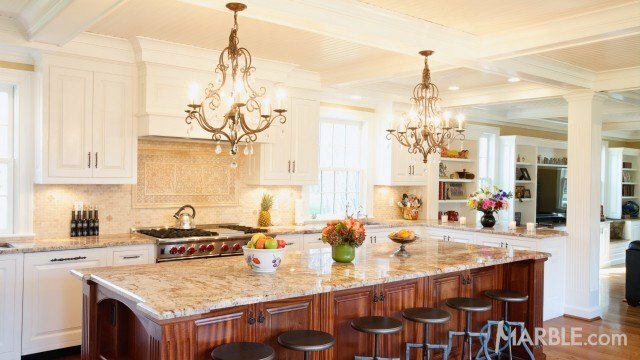 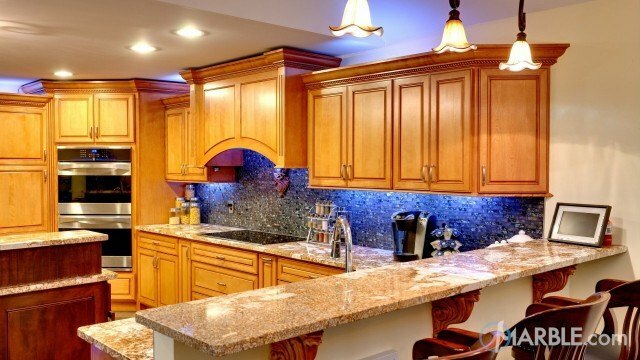 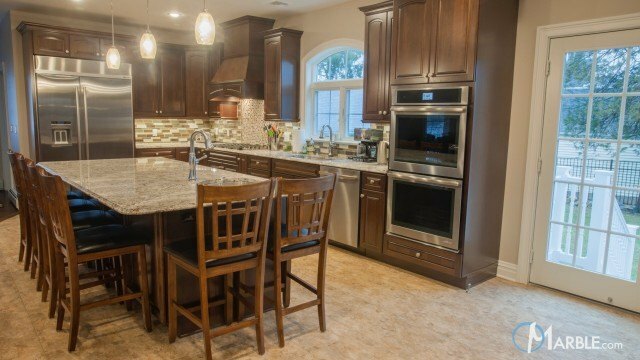 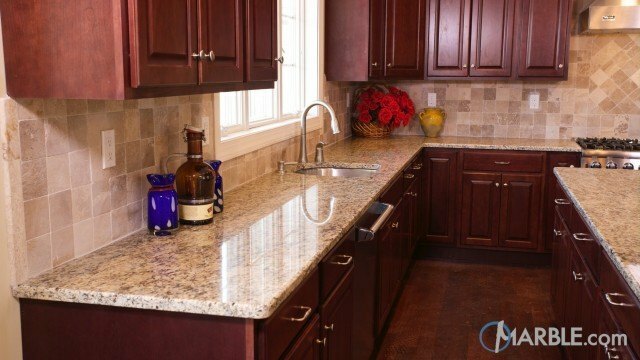 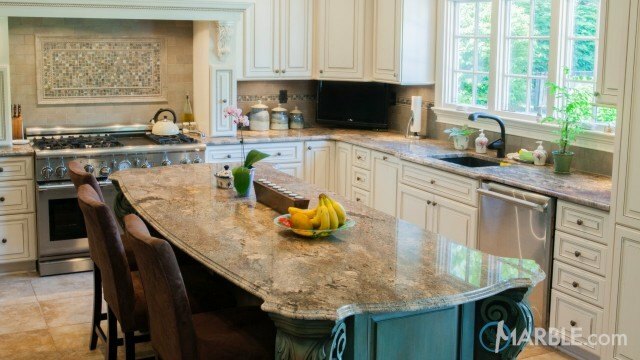 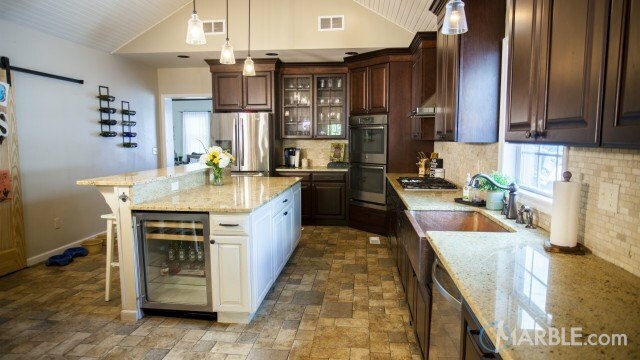 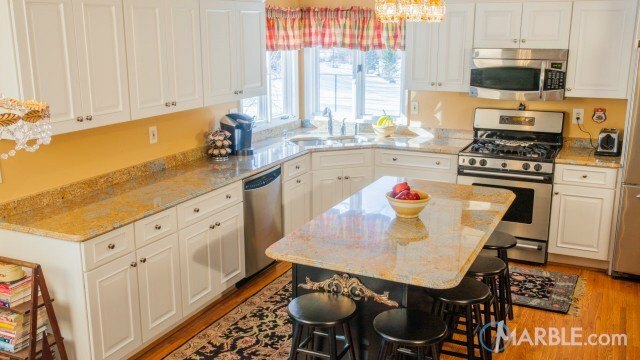 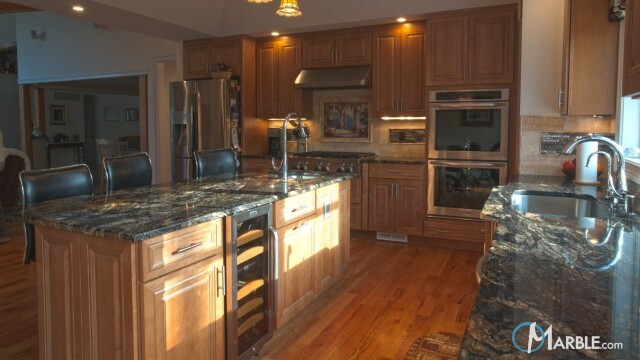 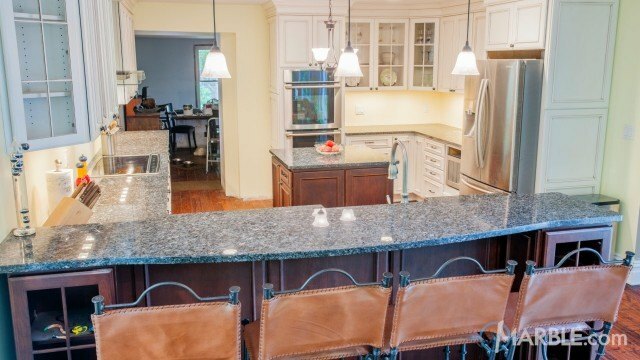 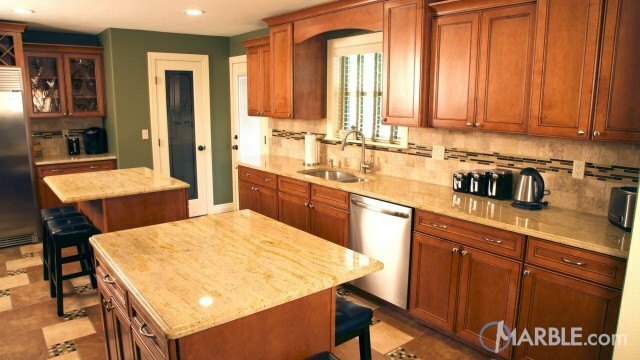 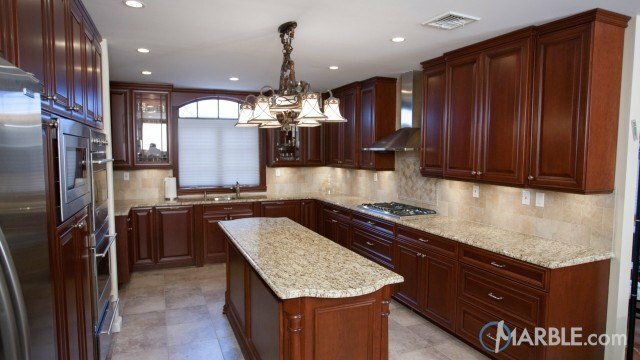 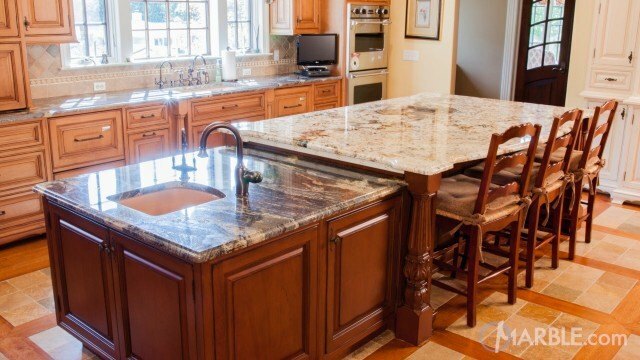 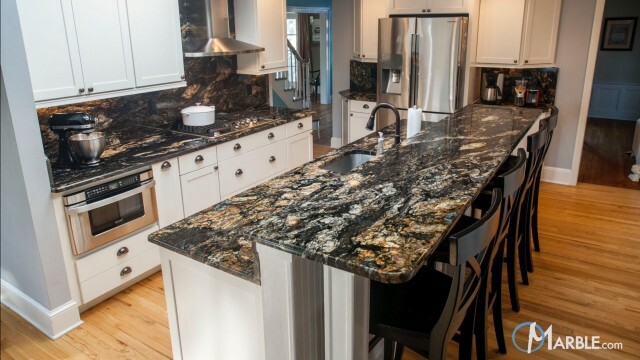 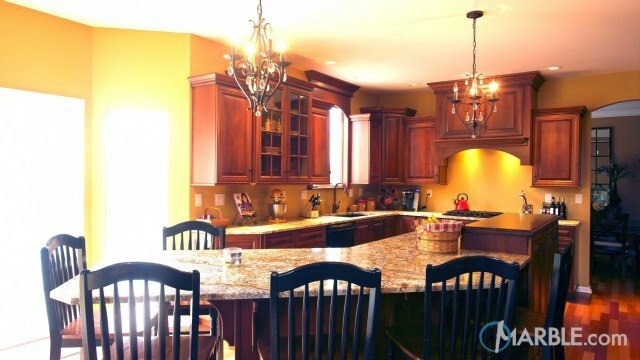 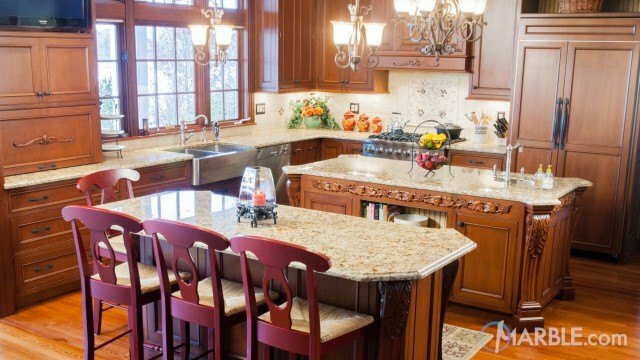 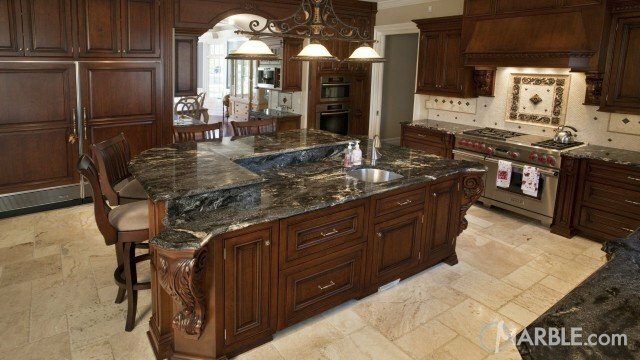 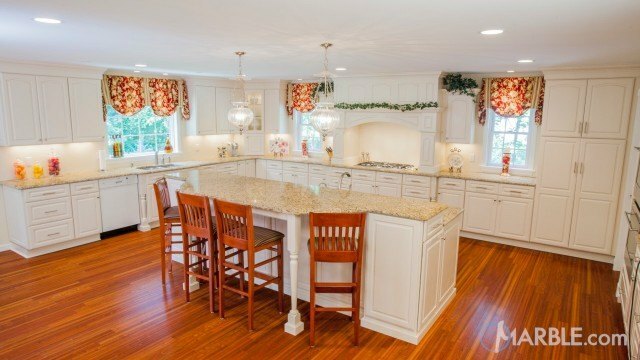 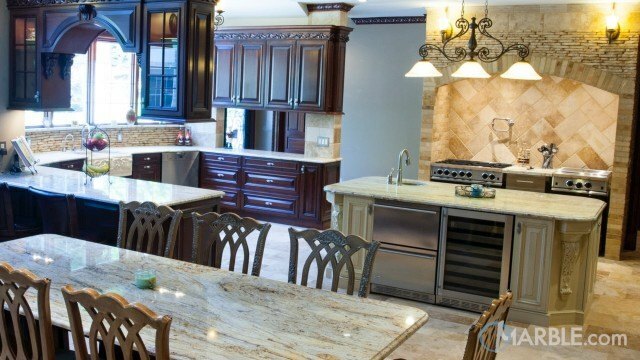 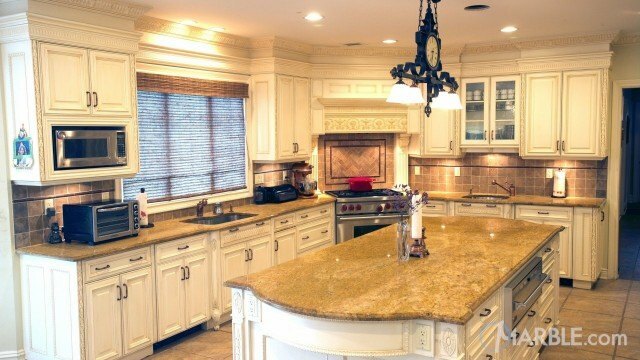 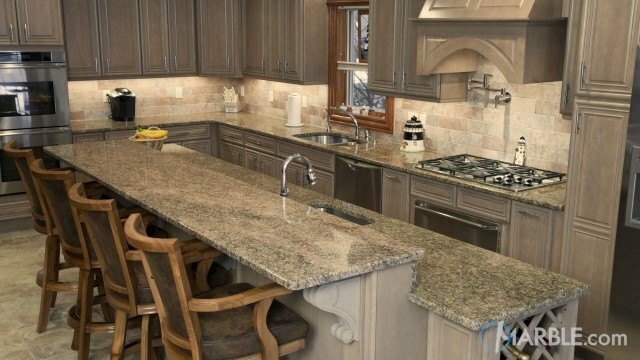 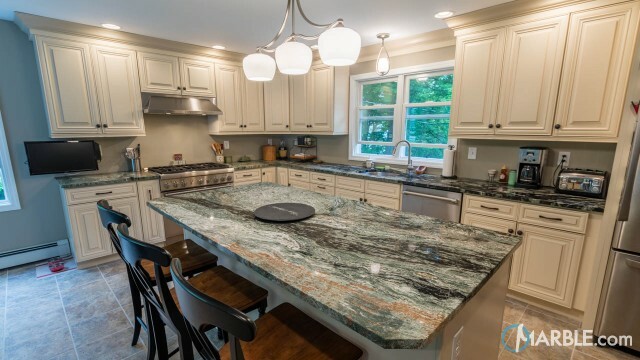 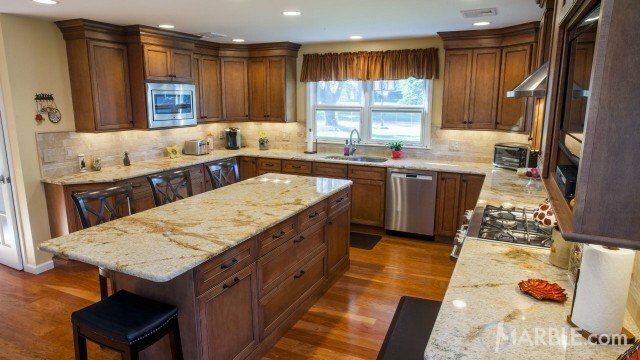 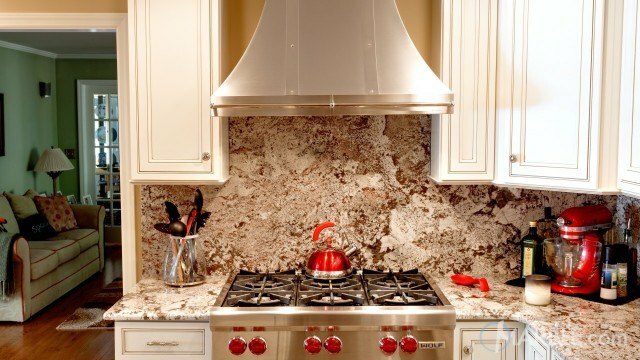 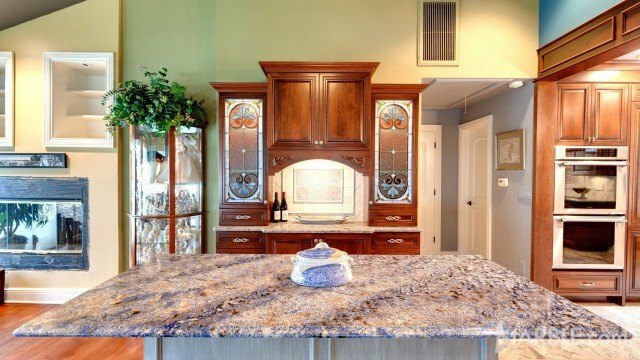 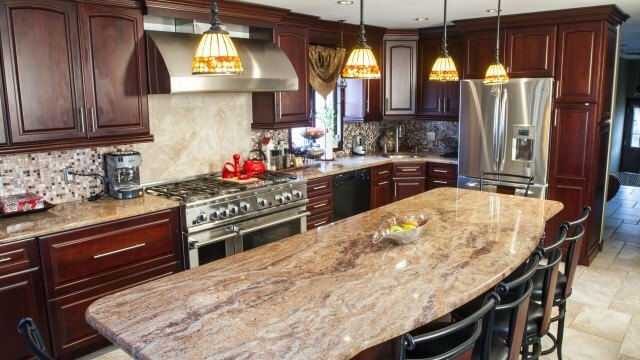 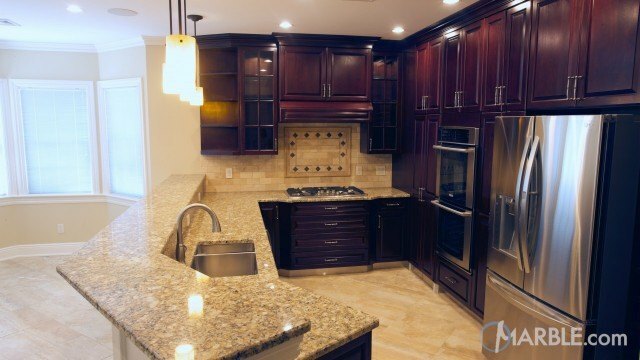 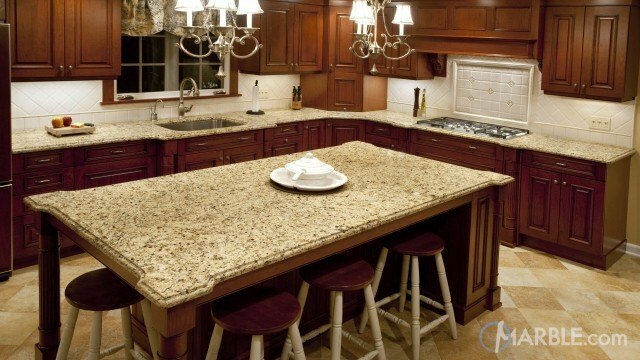 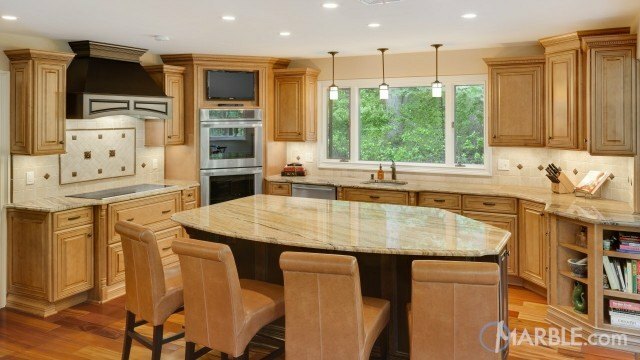 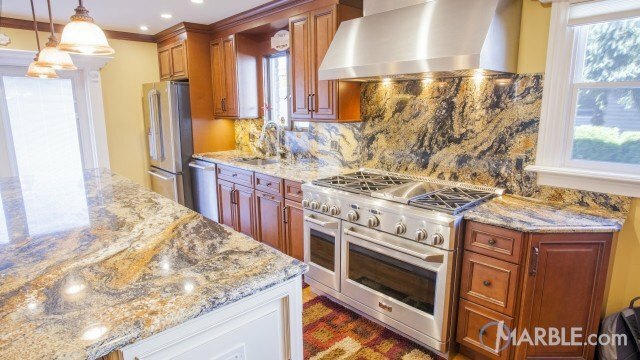 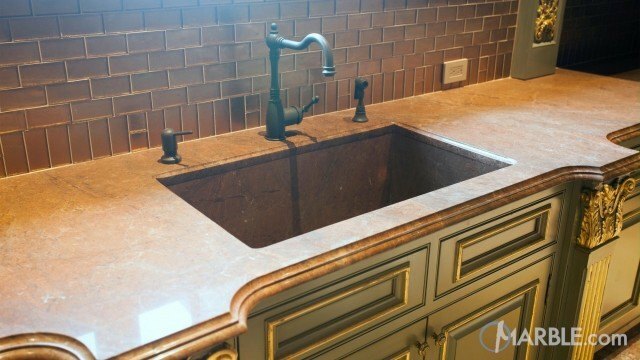 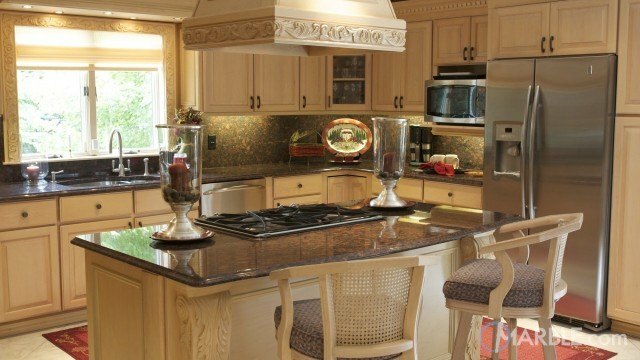 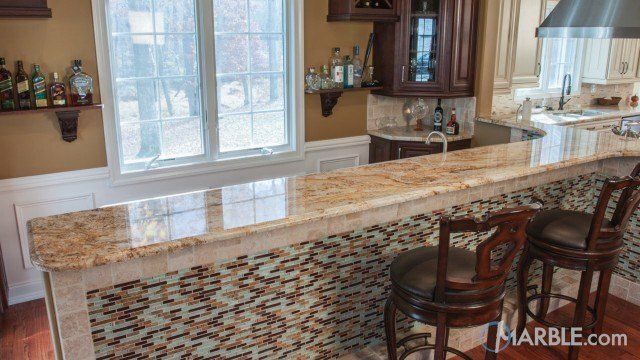 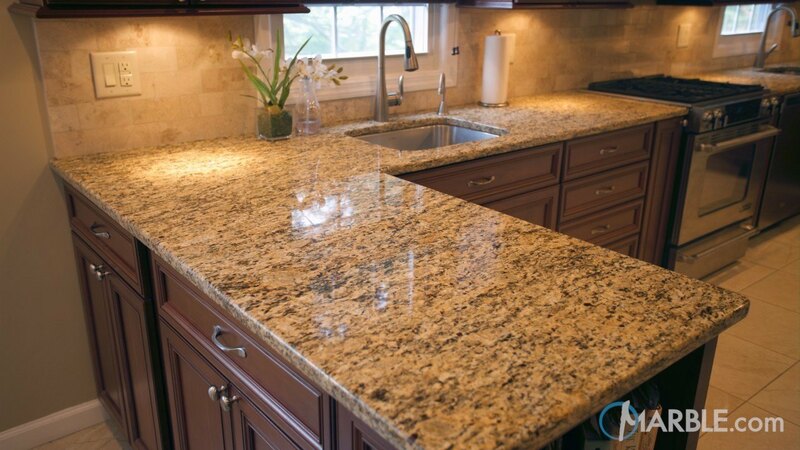 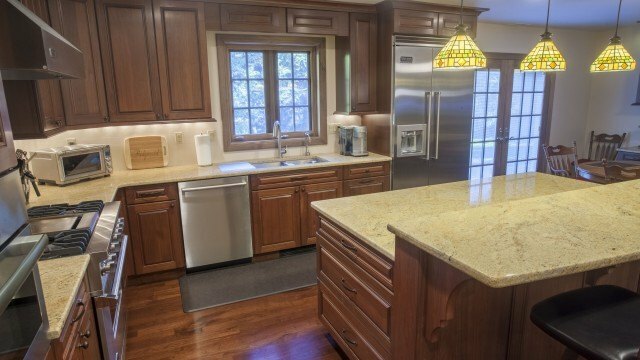 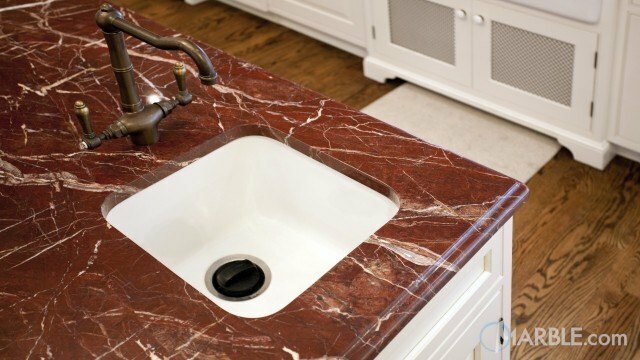 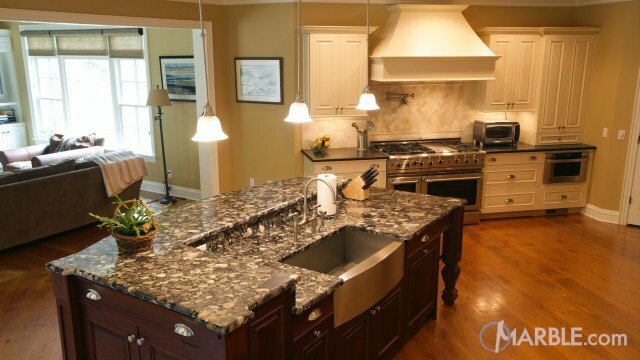 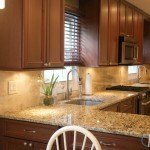 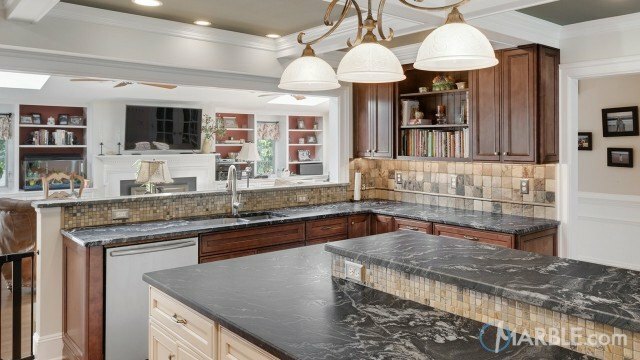 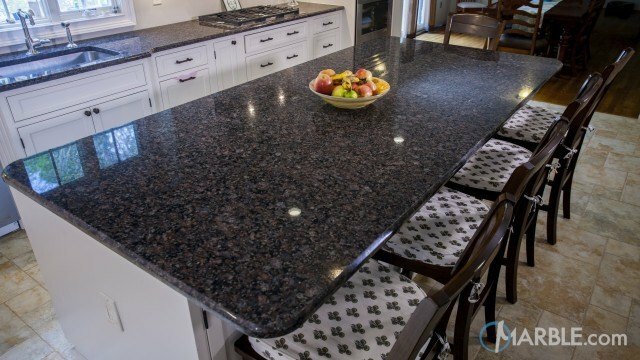 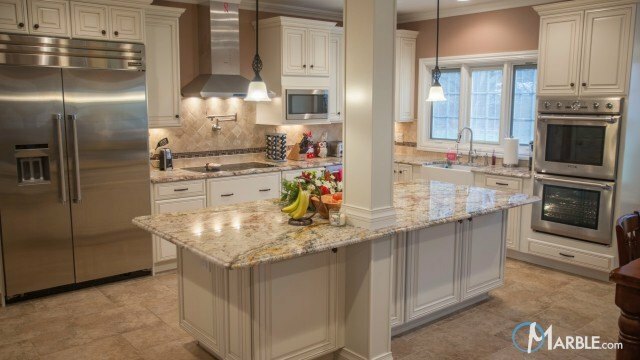 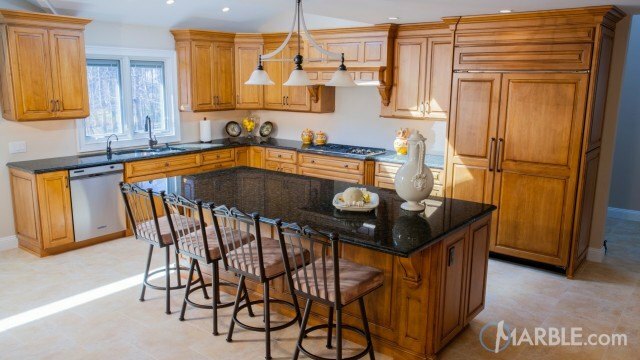 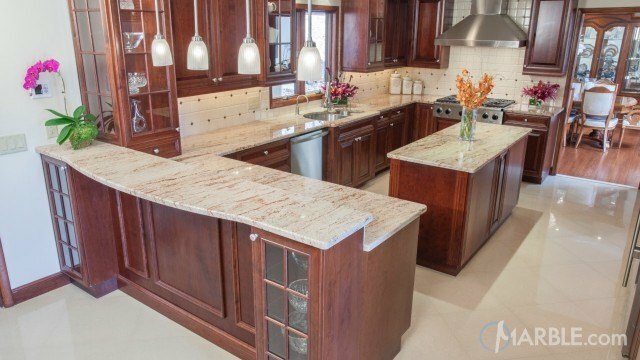 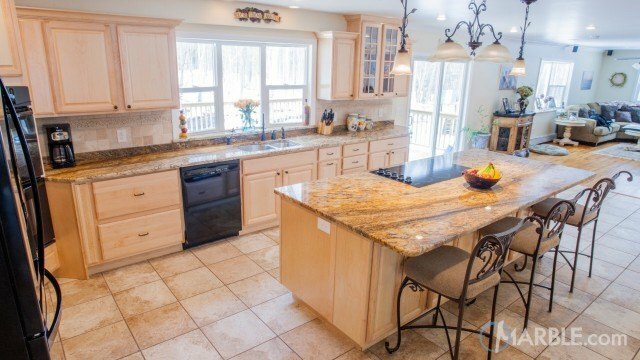 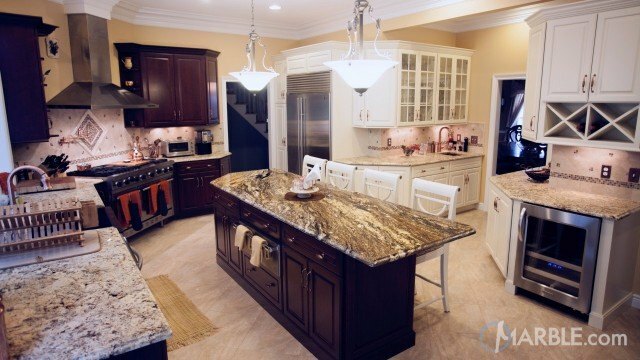 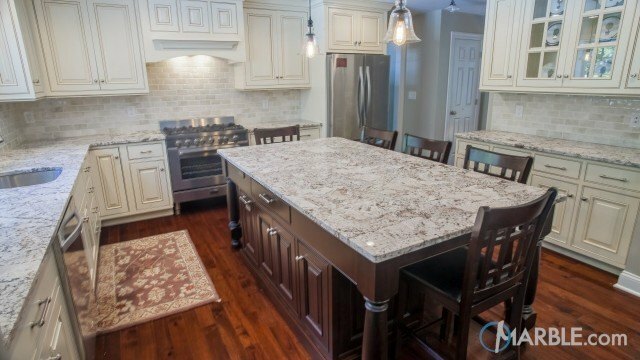 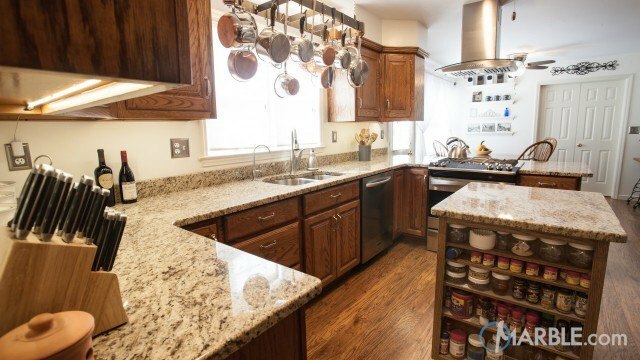 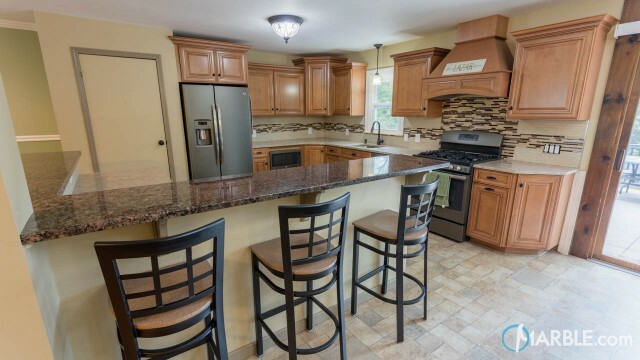 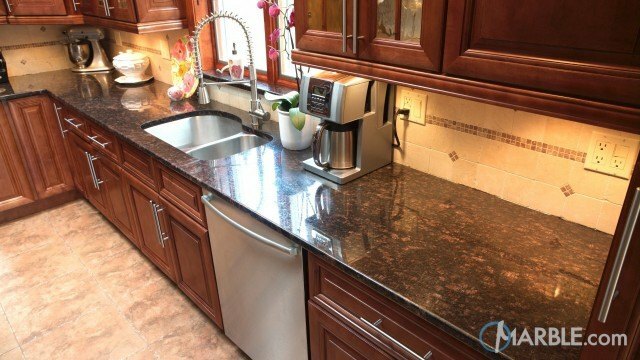 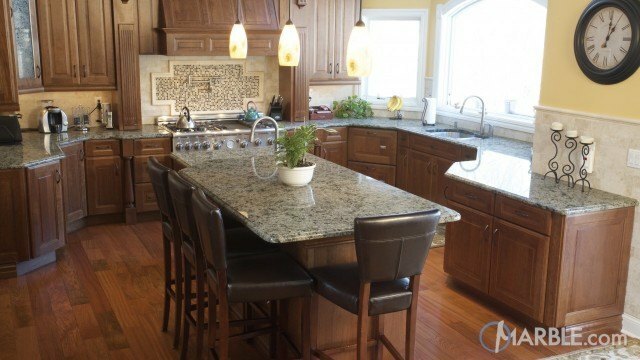 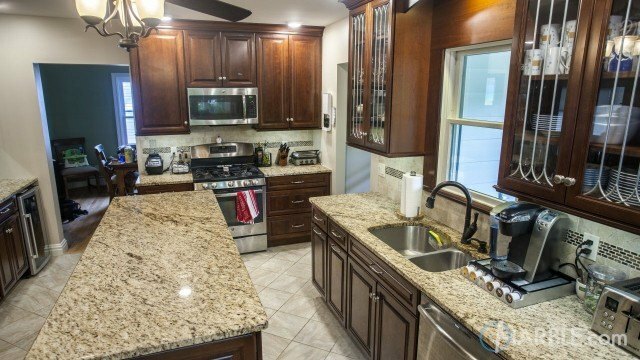 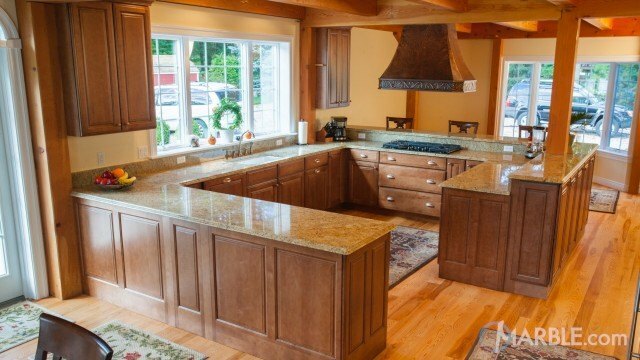 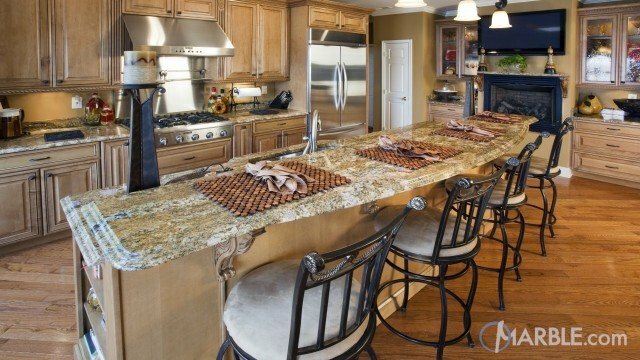 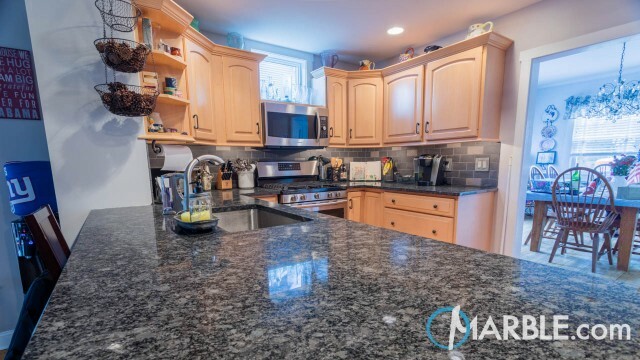 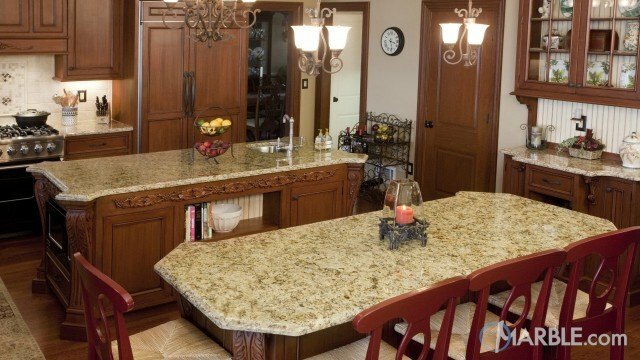 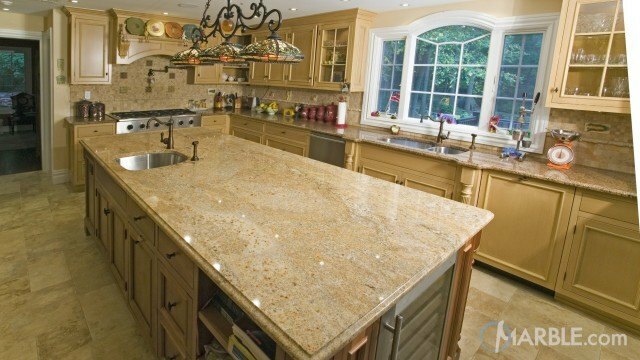 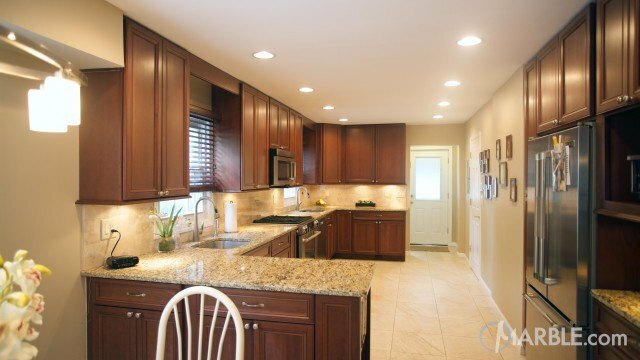 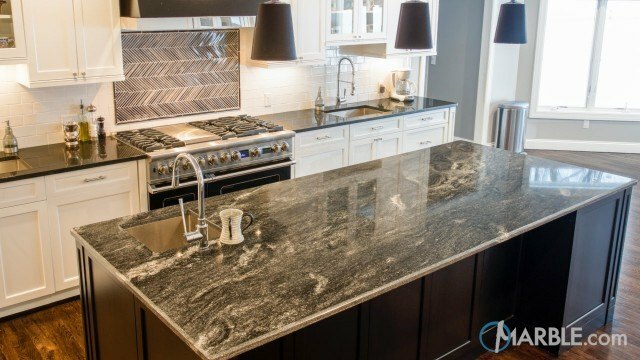 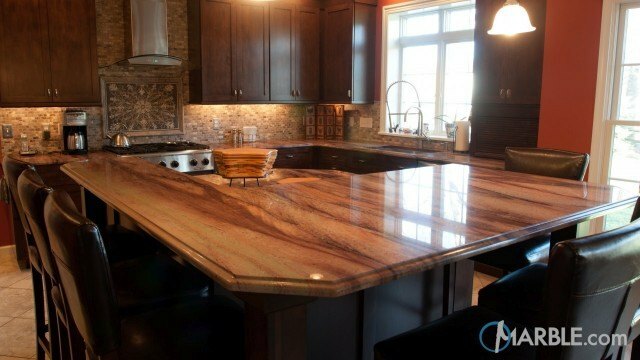 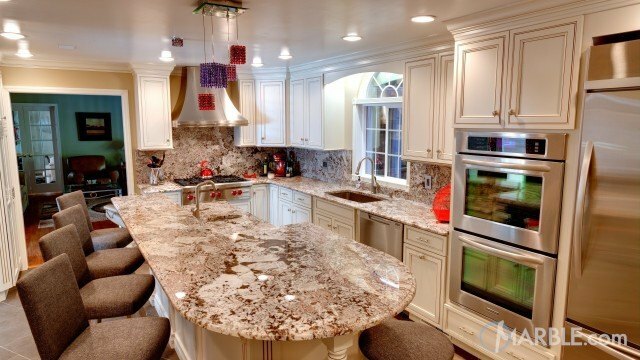 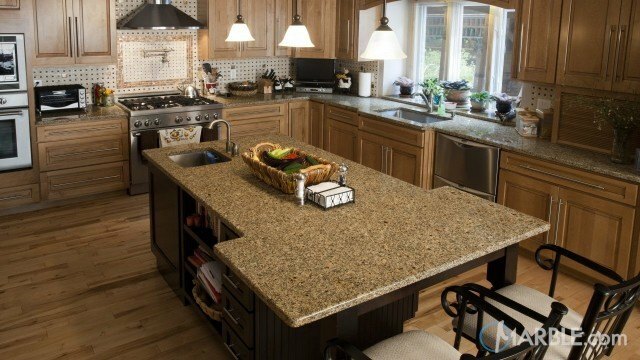 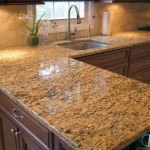 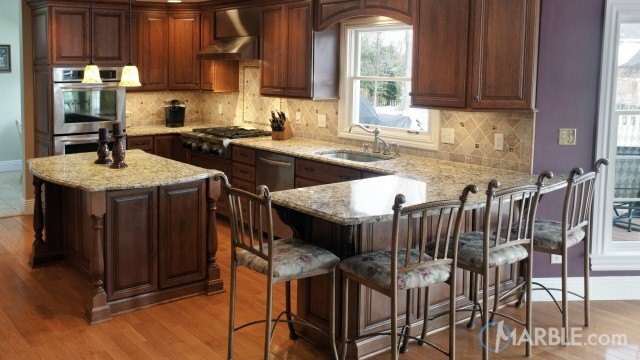 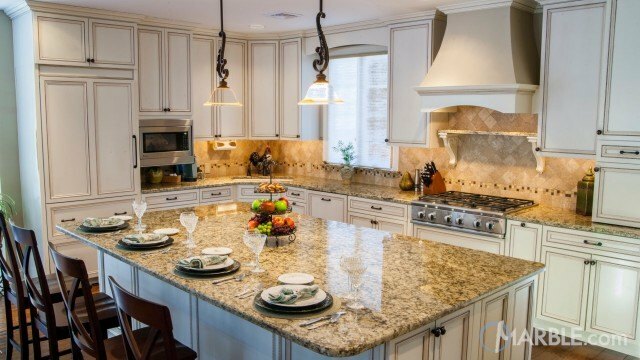 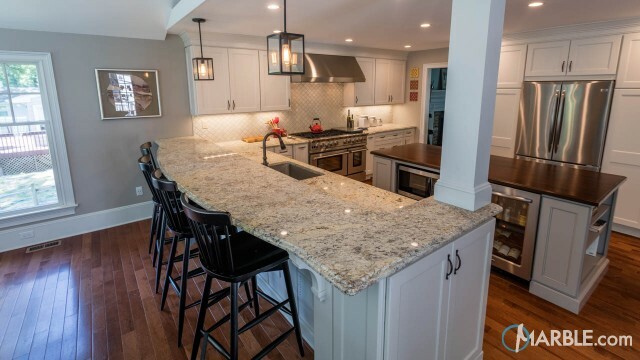 The consistent Savannah Gold granite counter top is richly patterned with honey highlights and burgundy bursts. 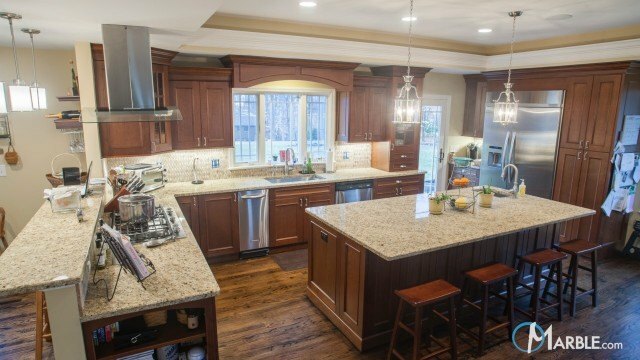 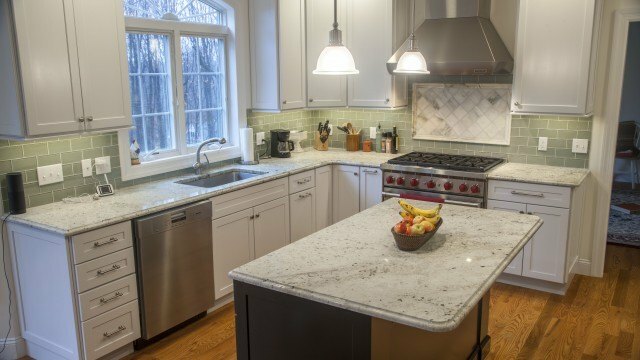 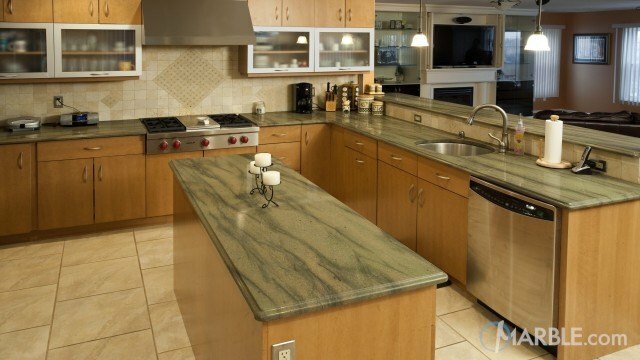 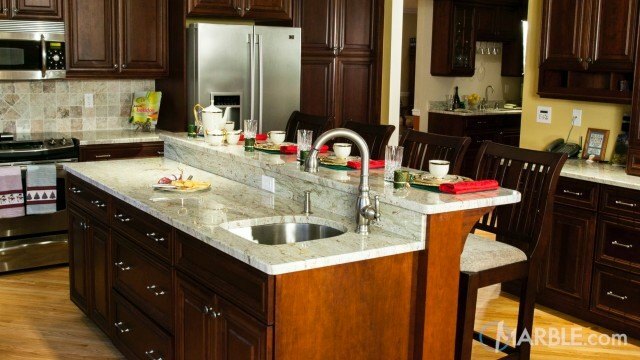 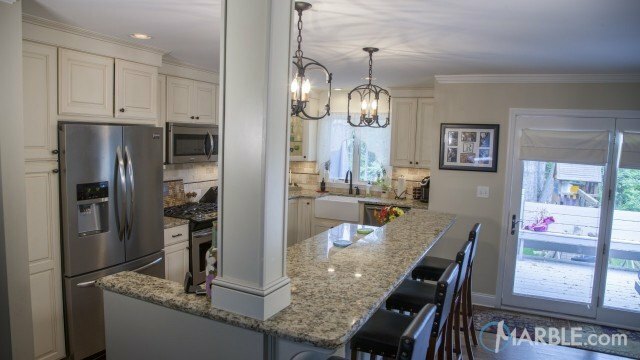 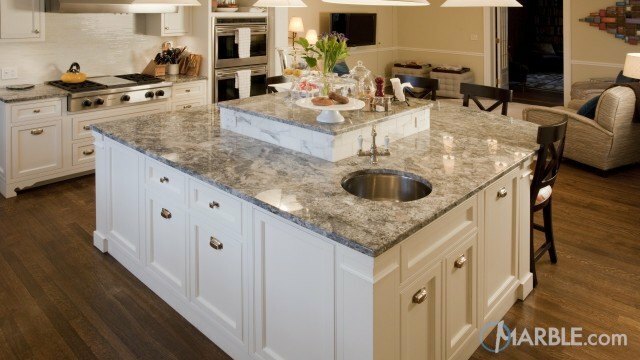 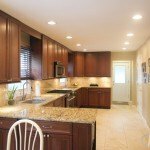 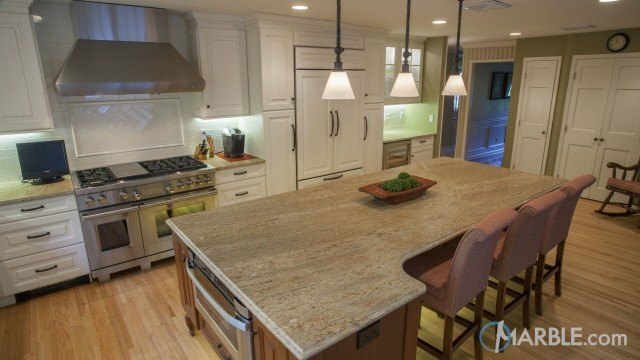 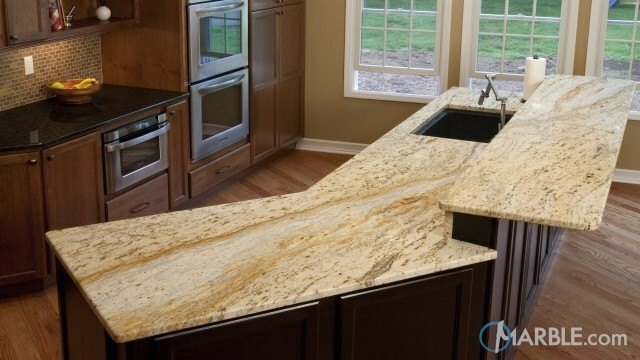 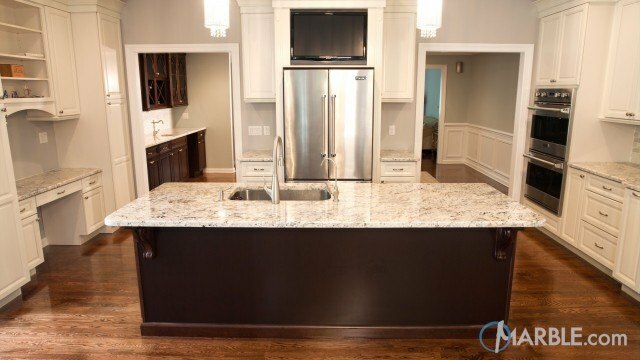 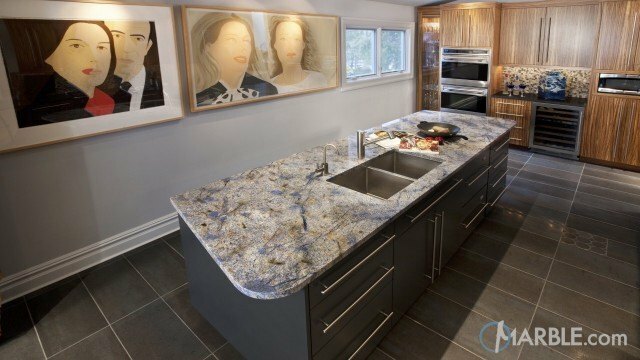 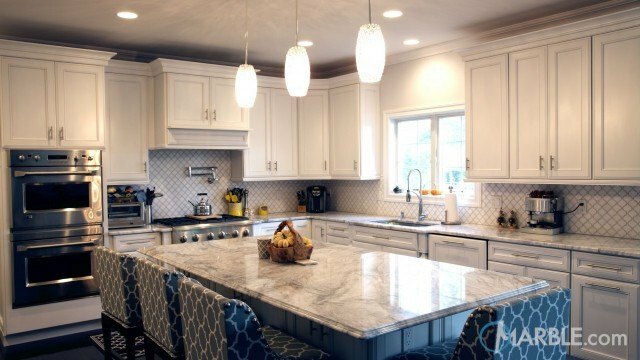 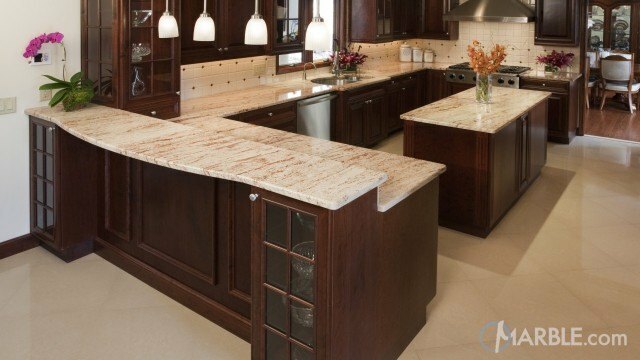 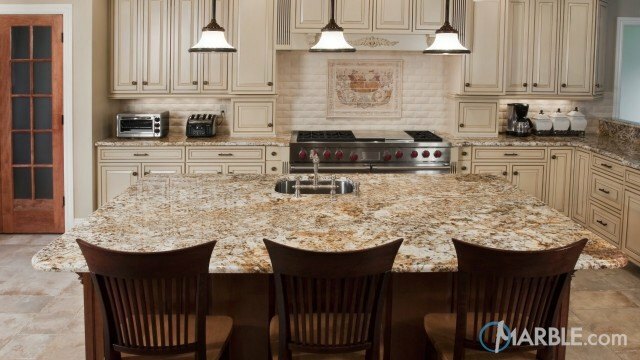 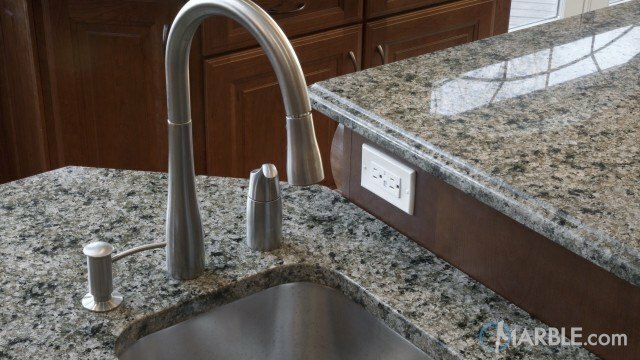 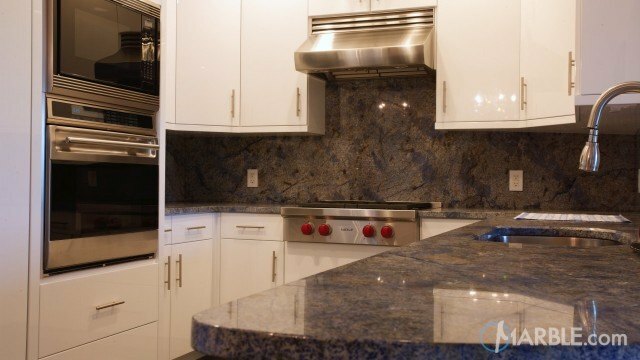 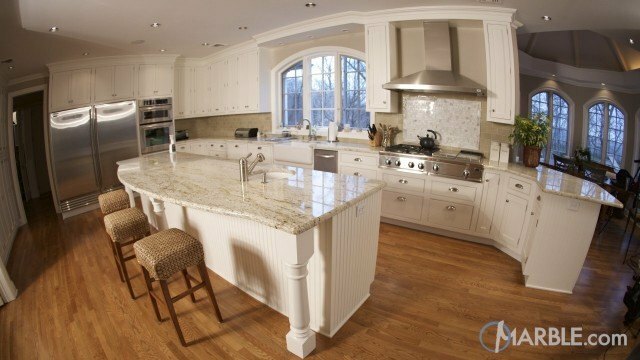 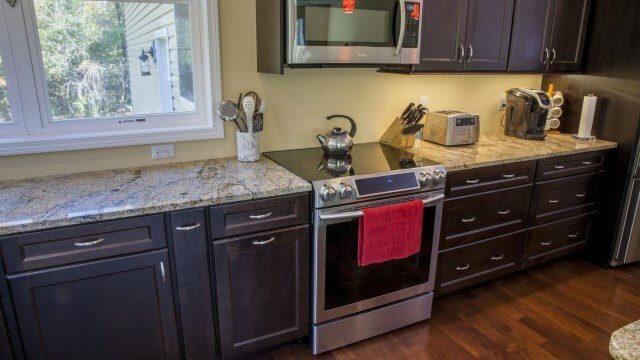 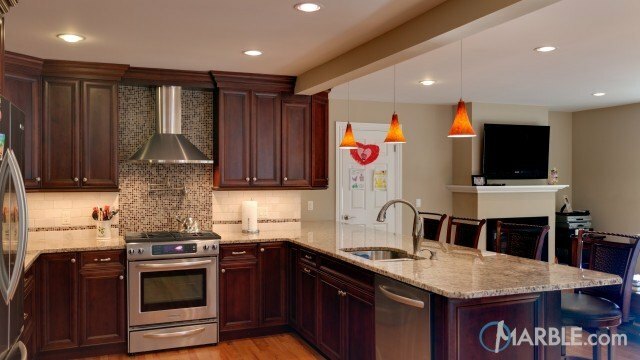 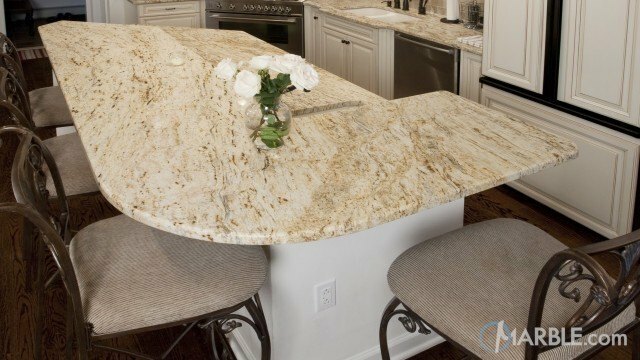 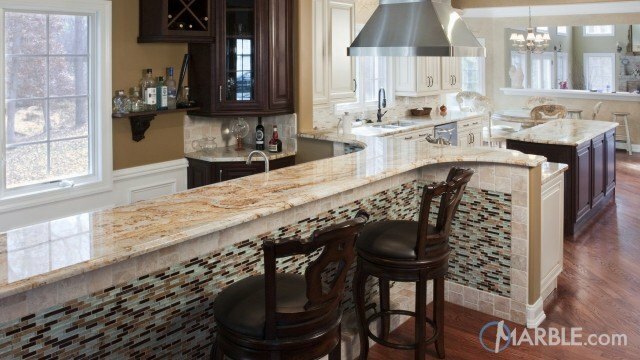 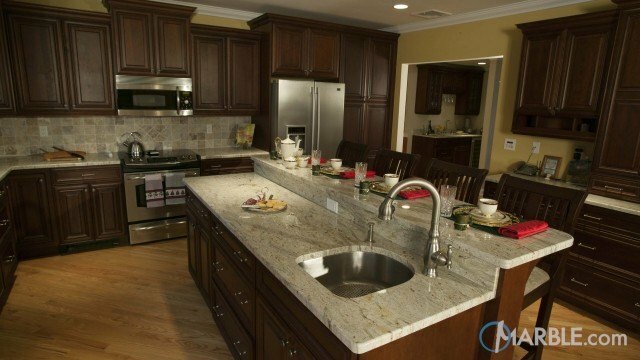 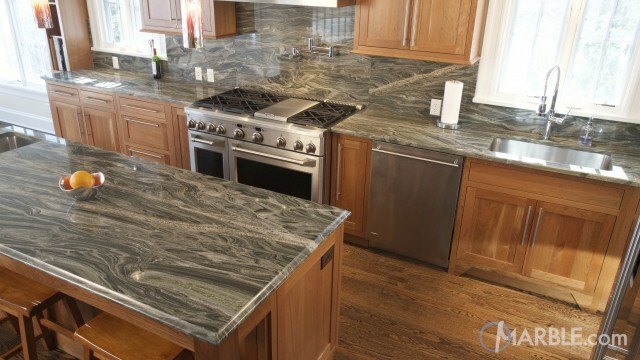 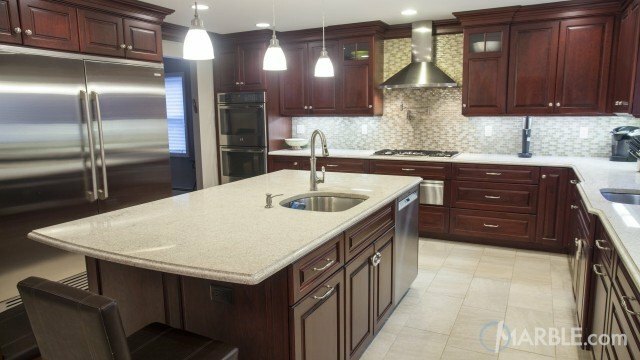 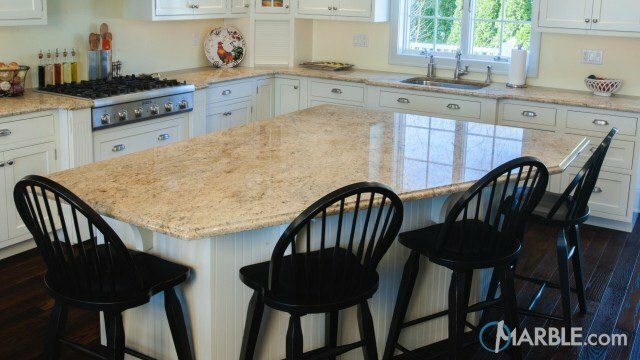 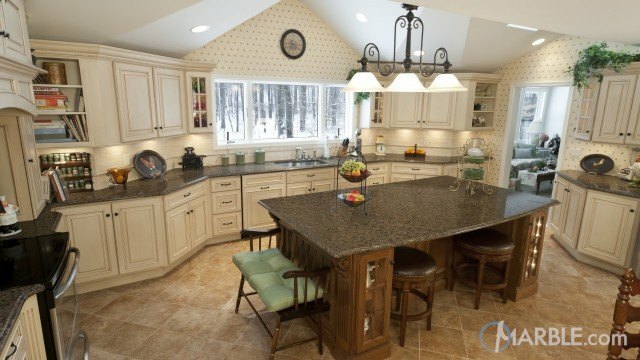 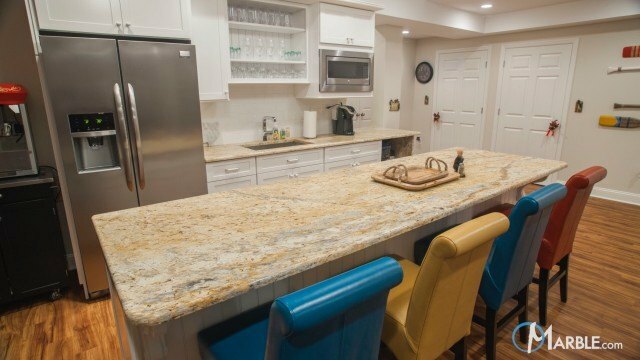 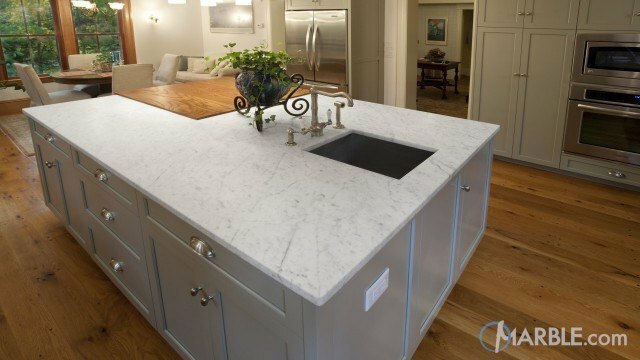 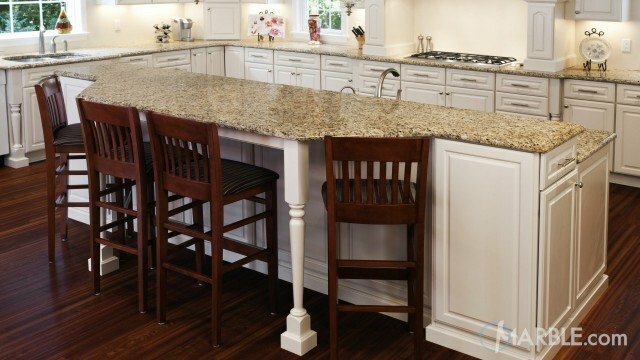 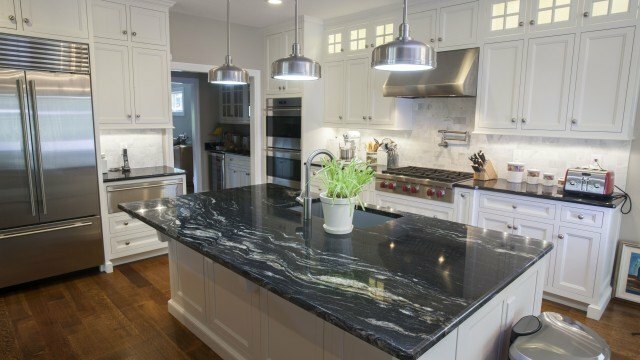 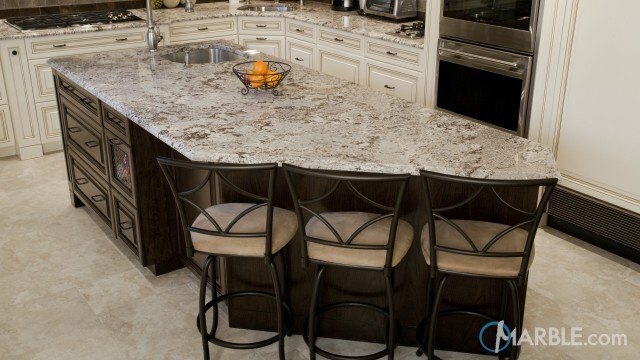 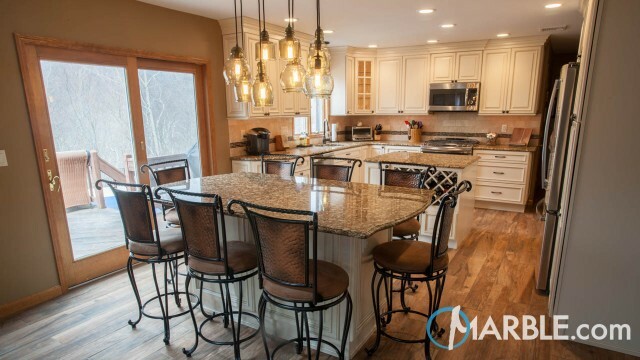 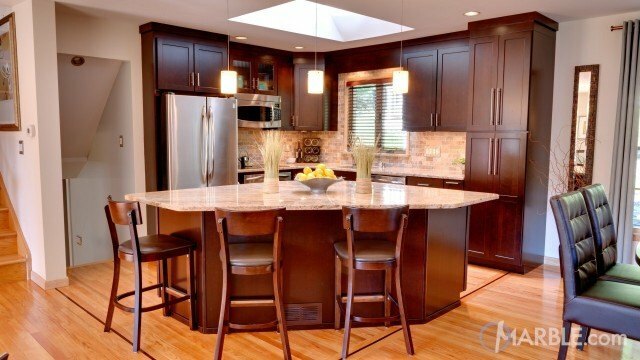 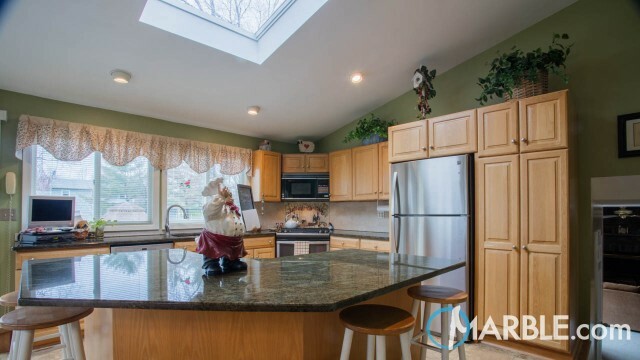 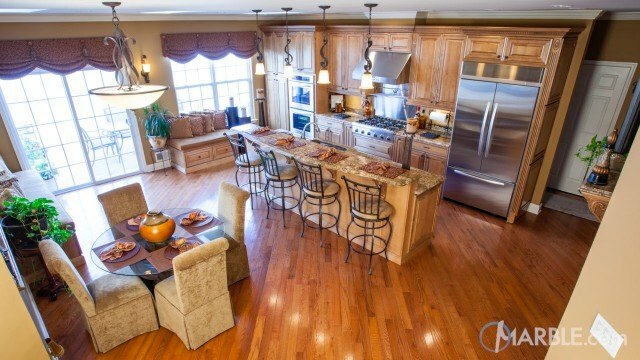 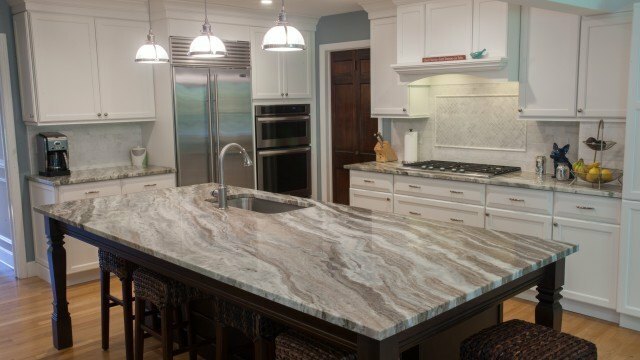 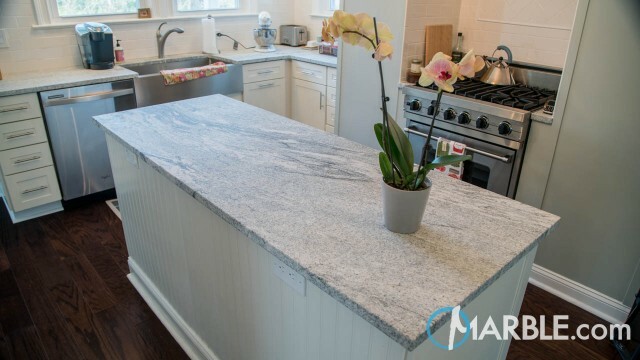 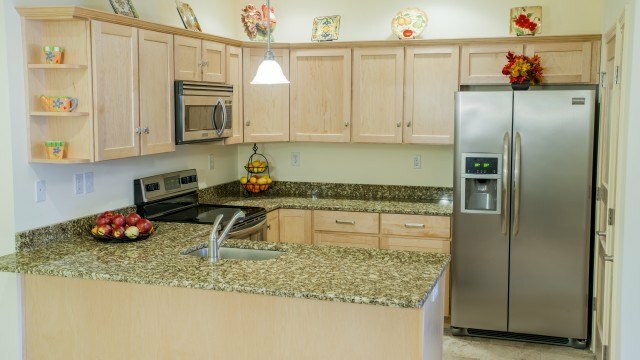 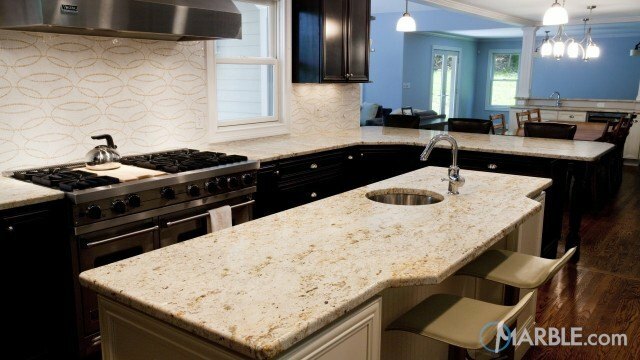 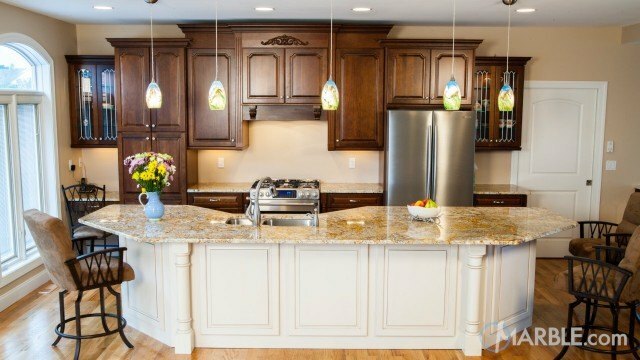 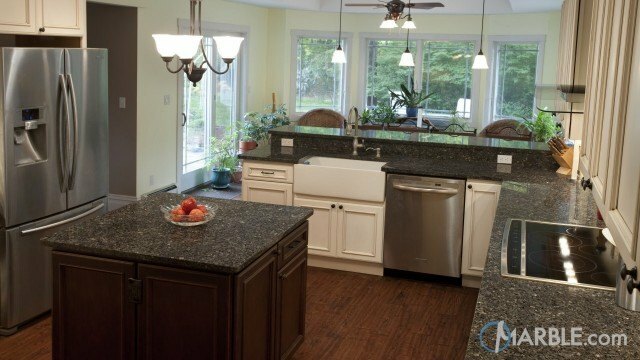 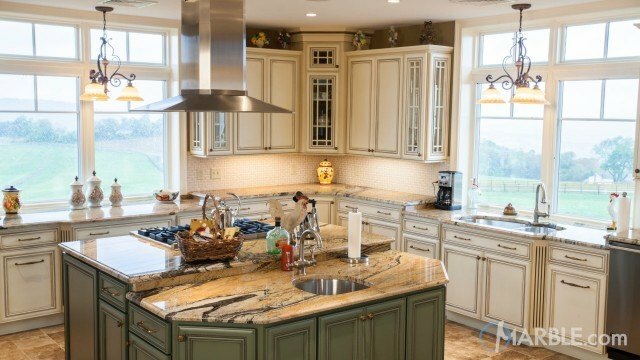 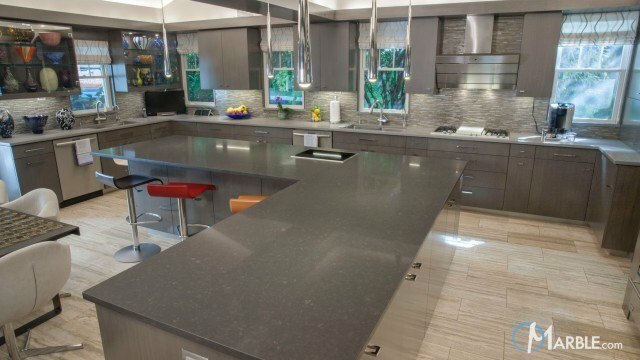 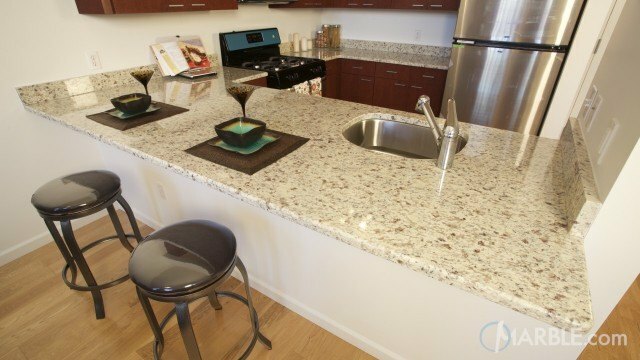 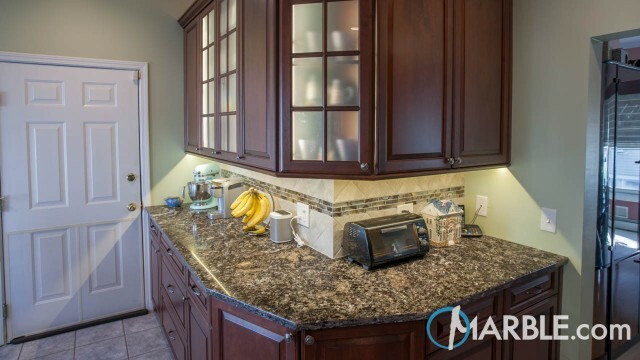 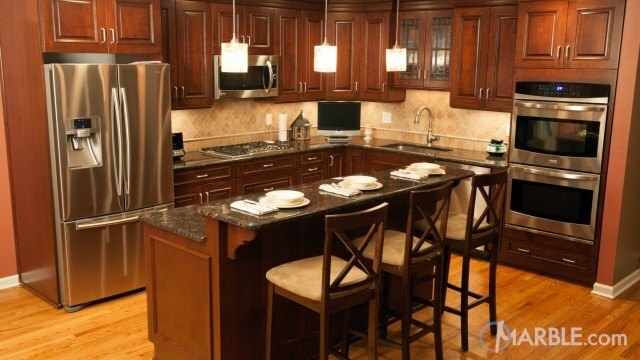 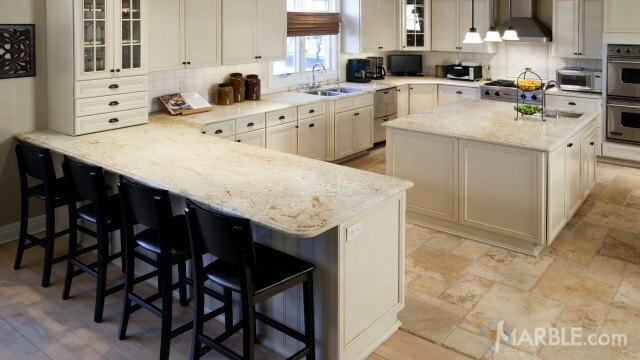 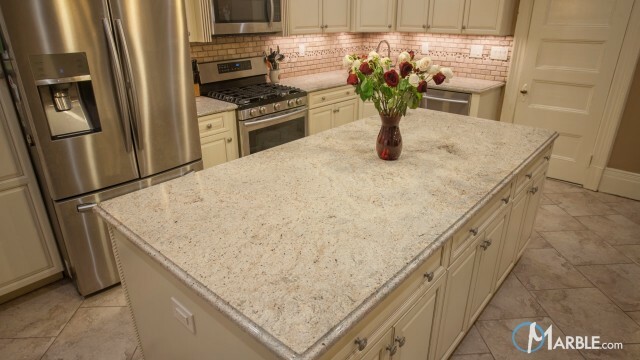 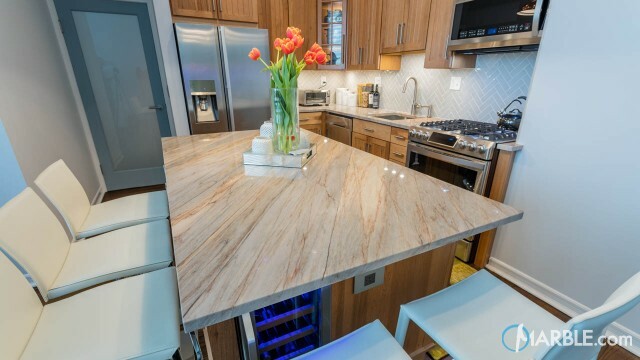 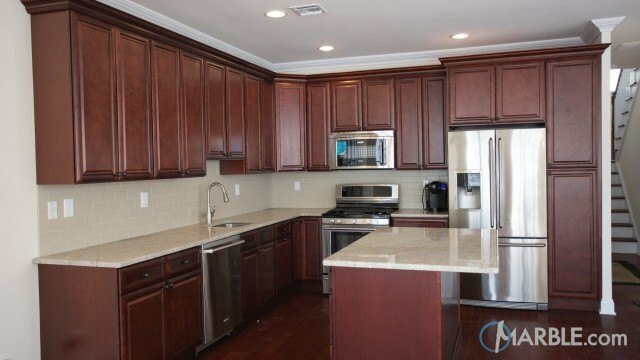 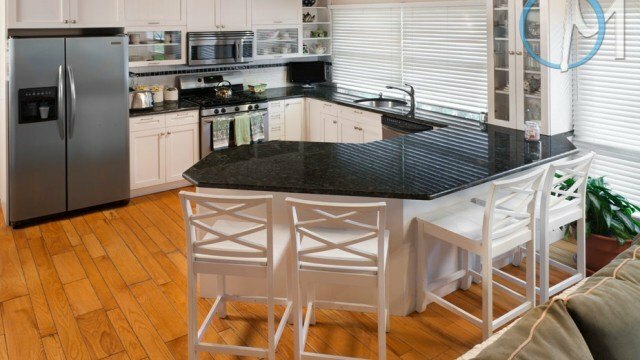 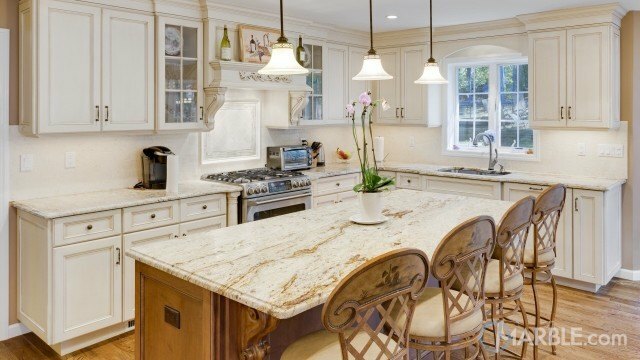 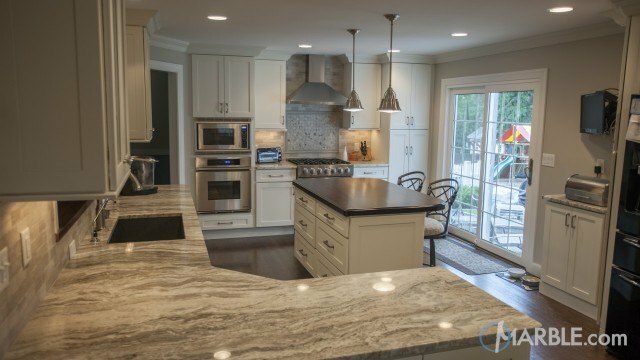 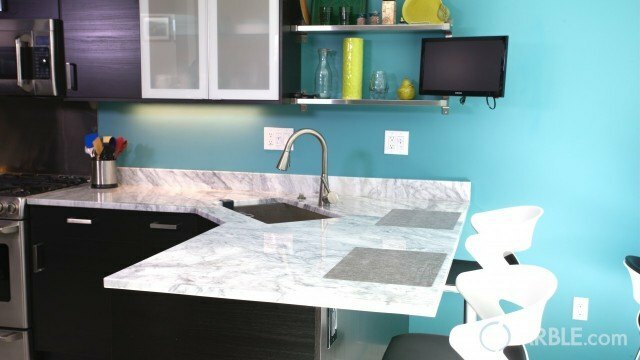 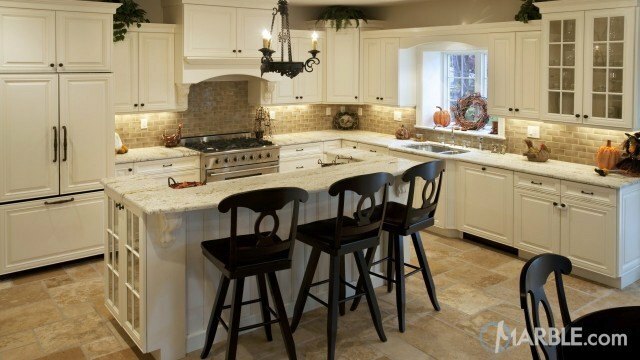 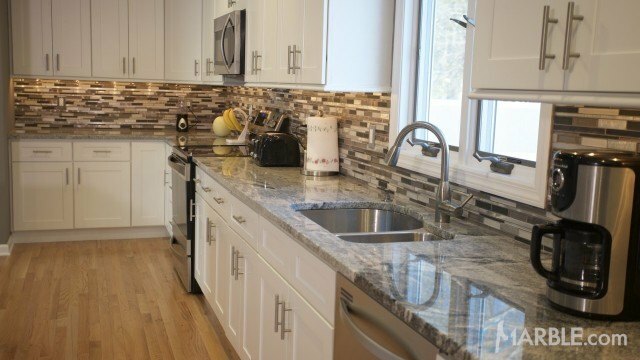 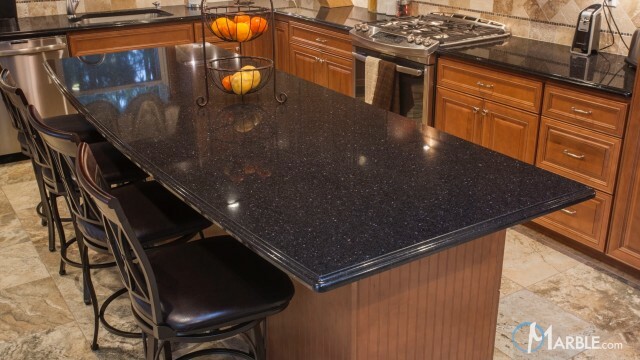 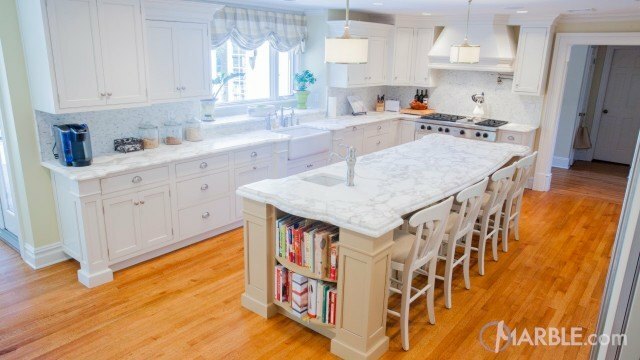 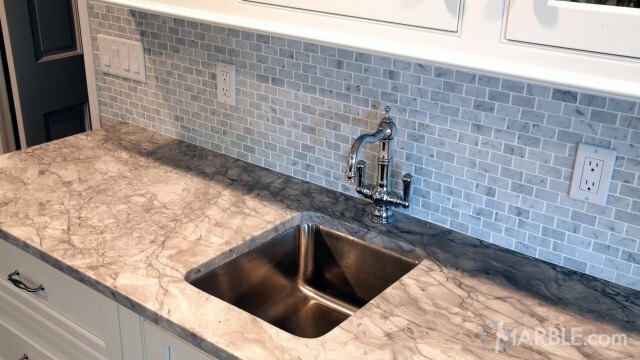 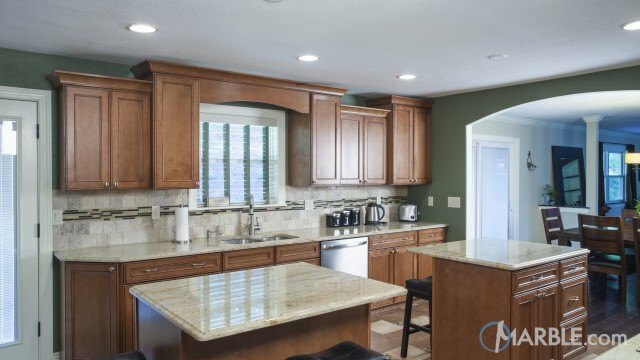 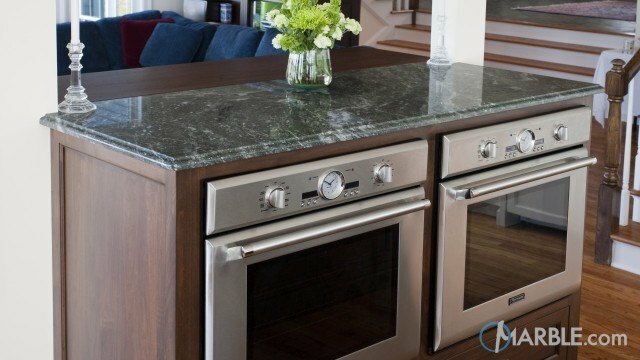 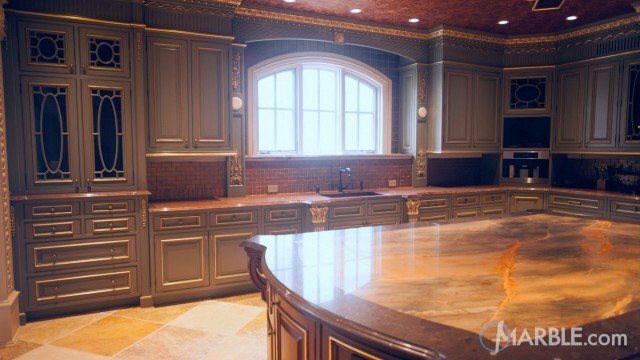 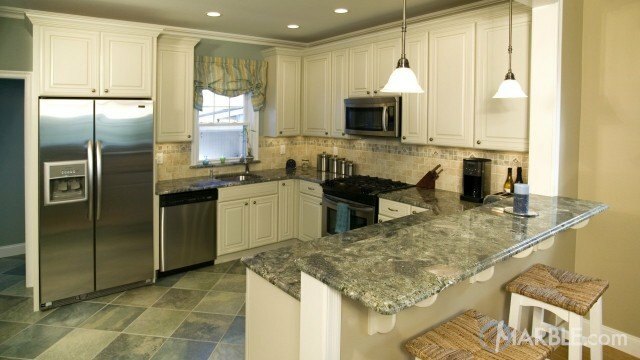 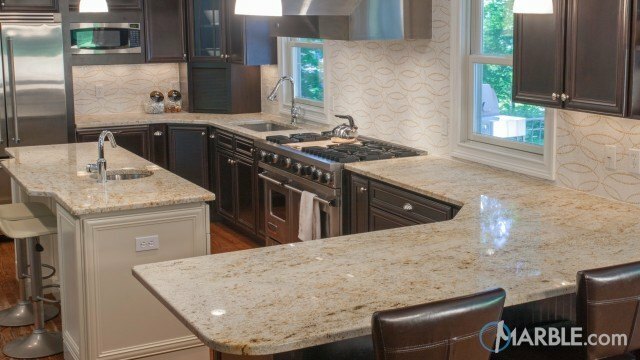 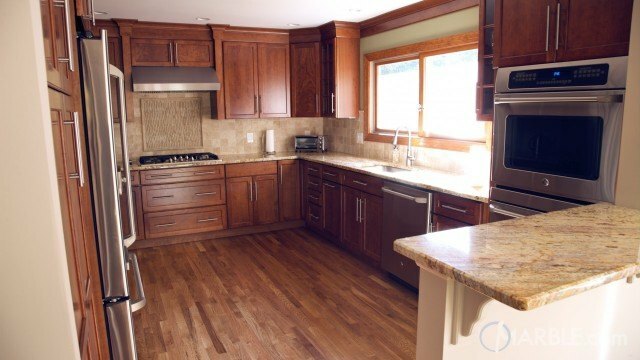 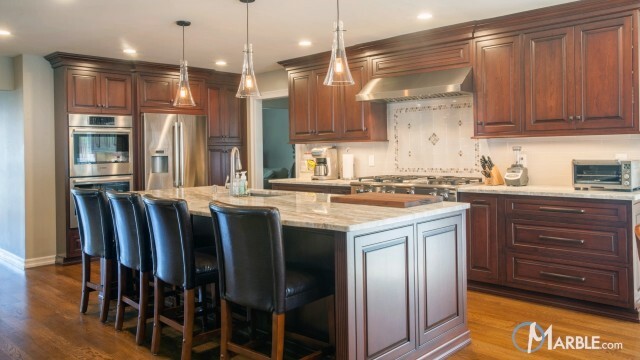 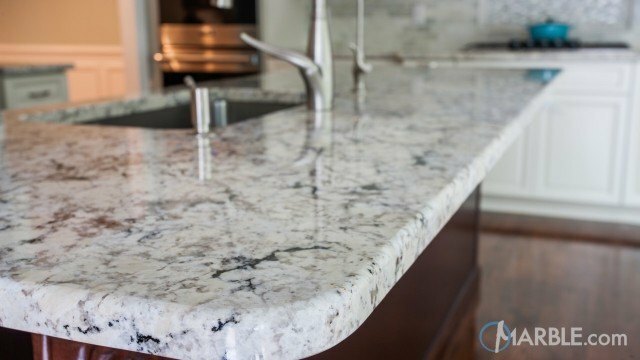 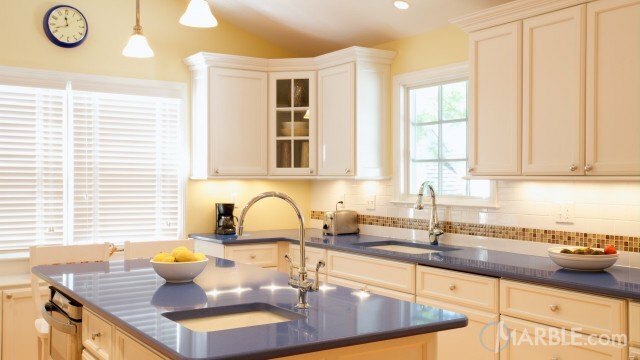 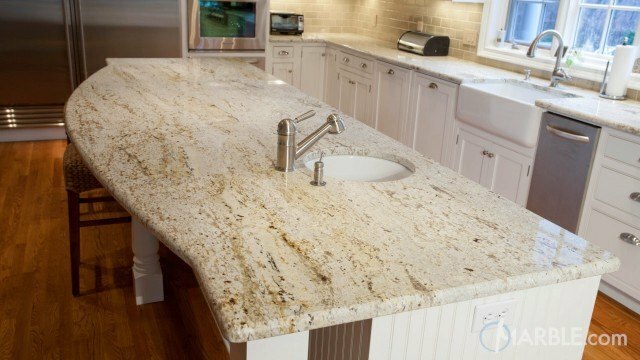 The 1/4 Round Edge gives the counter tops an elegant and practical finish. 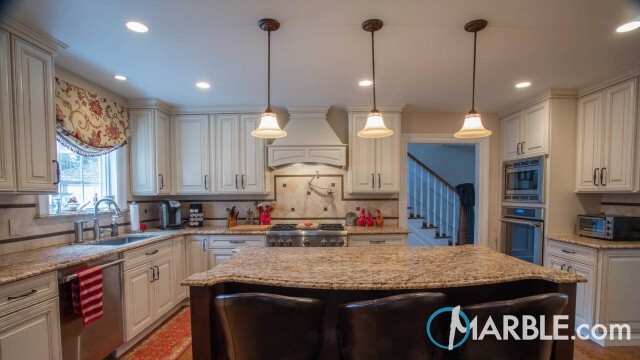 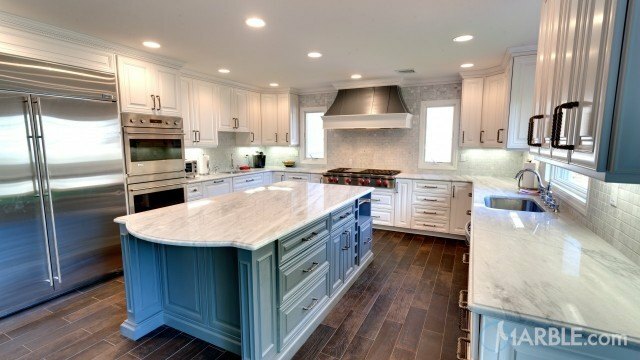 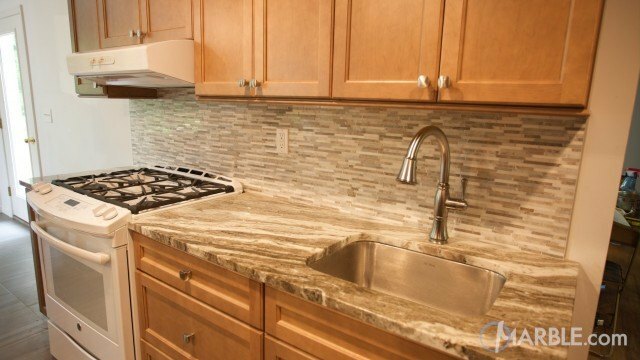 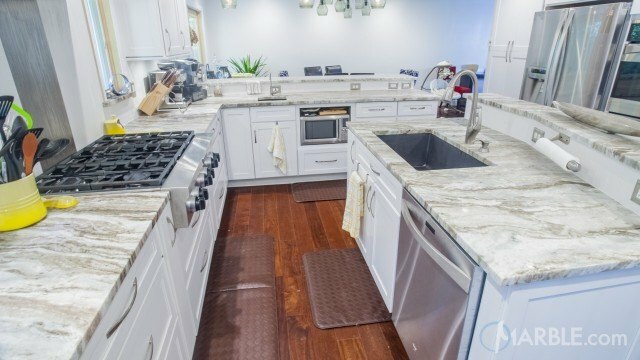 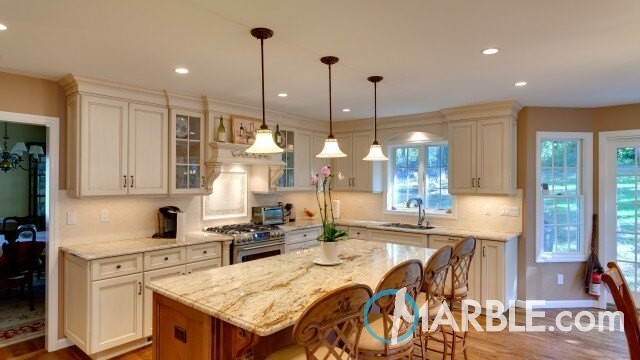 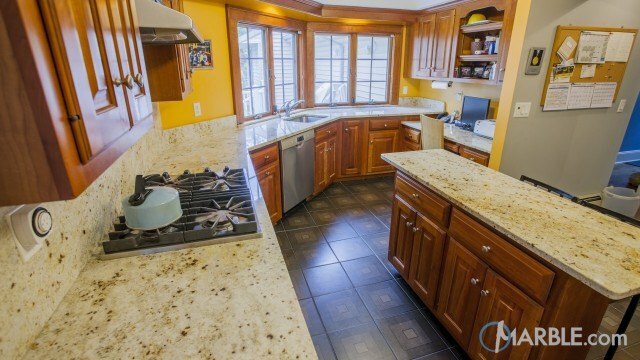 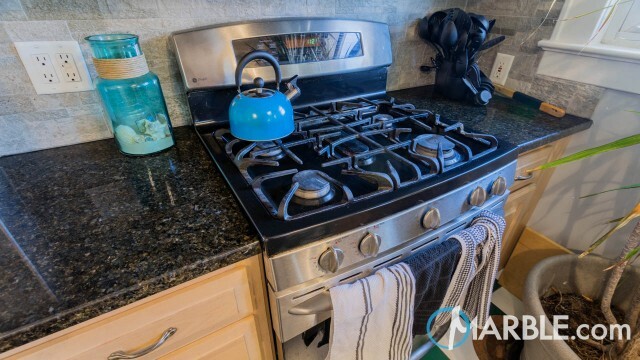 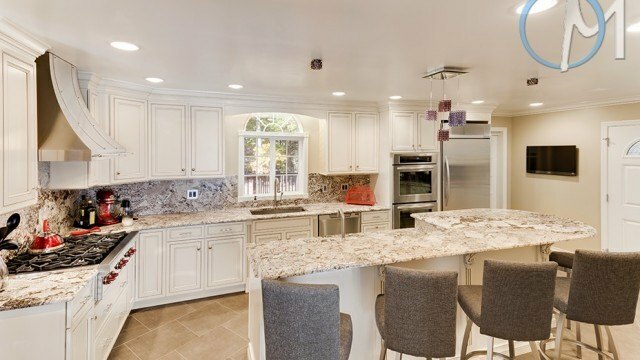 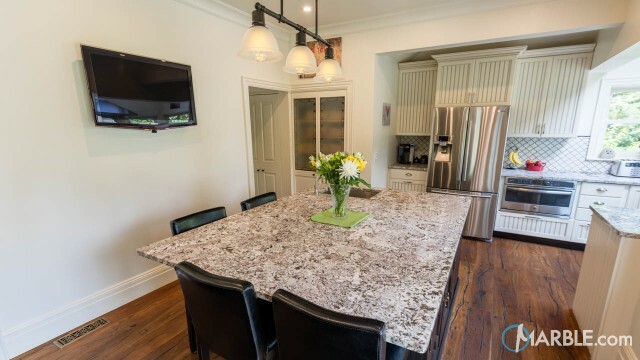 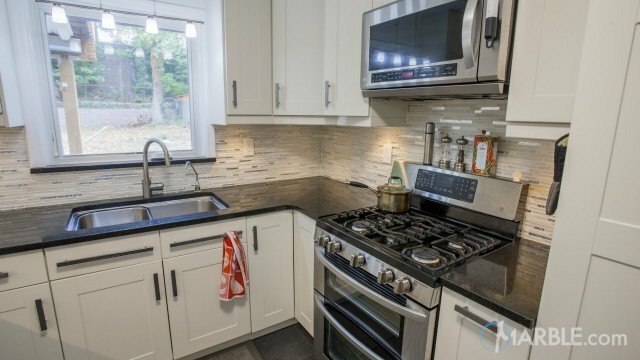 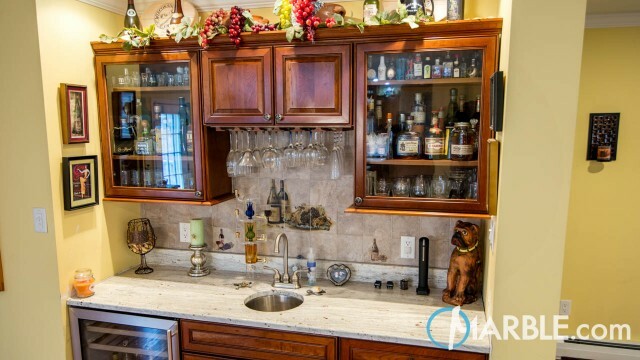 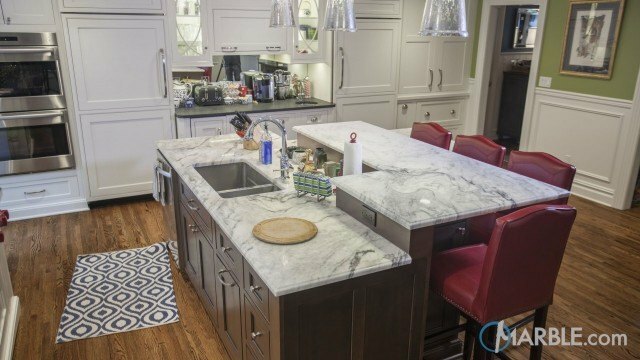 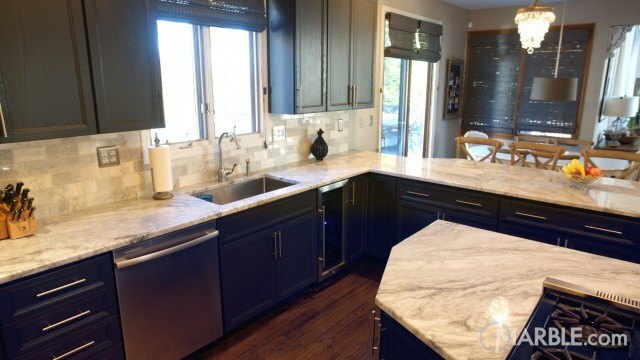 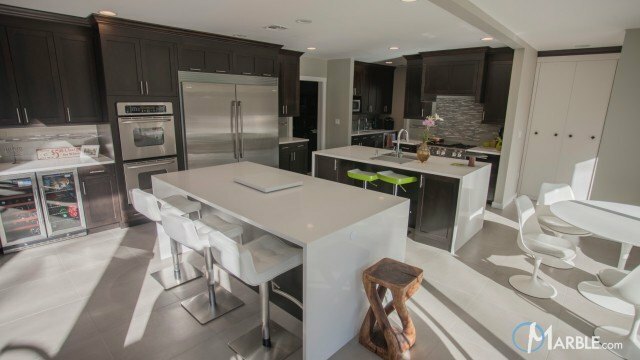 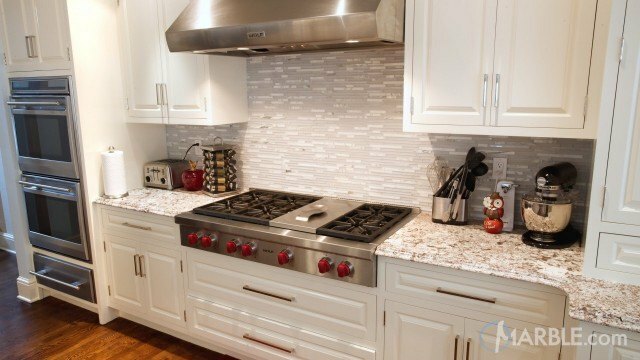 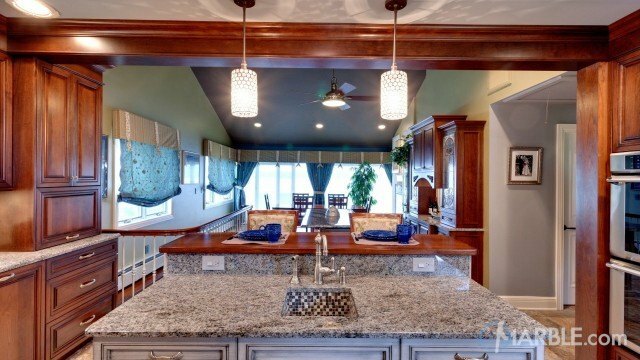 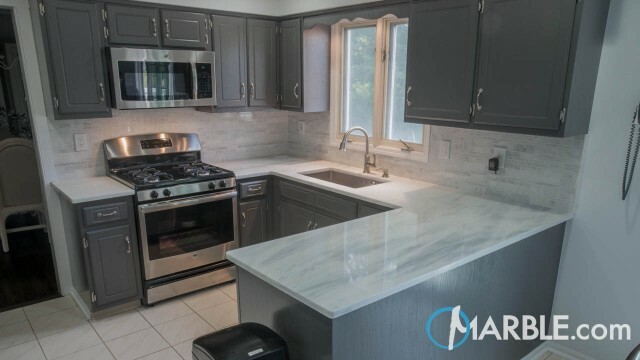 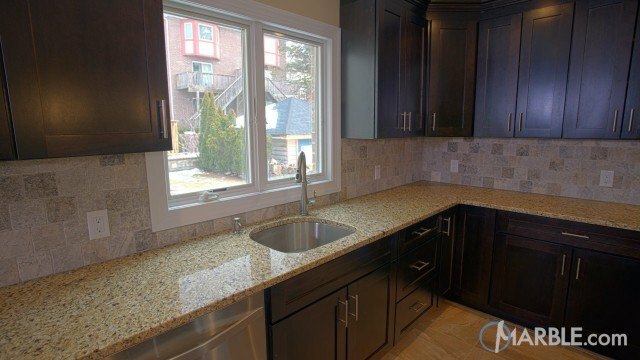 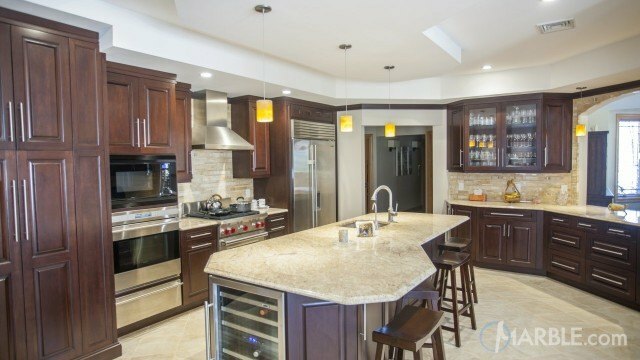 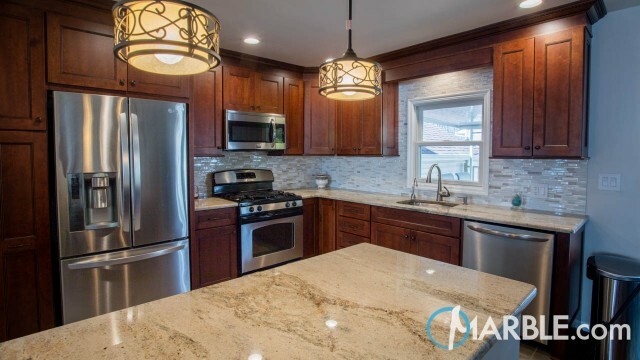 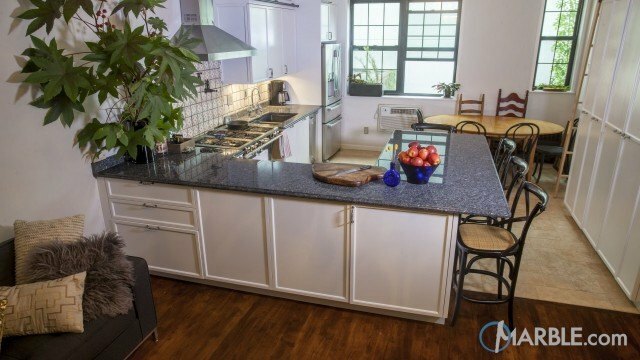 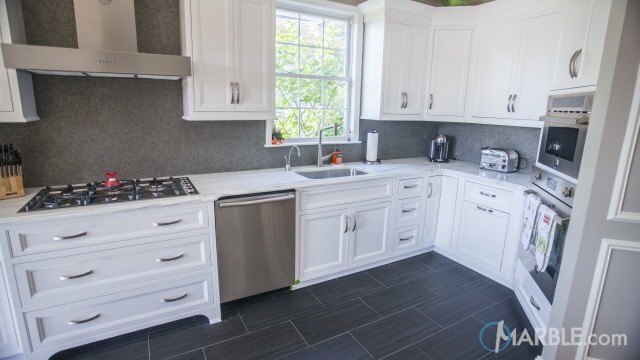 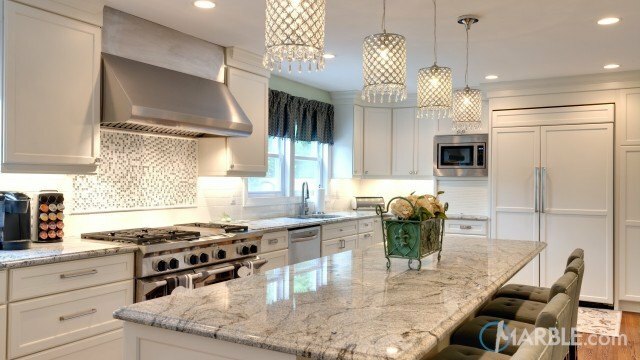 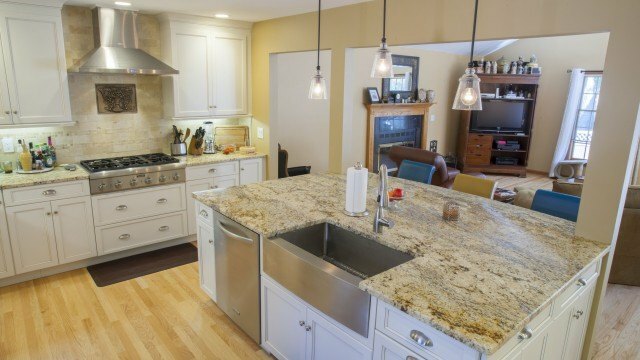 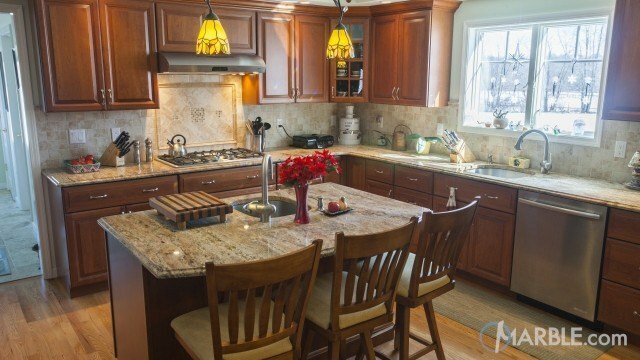 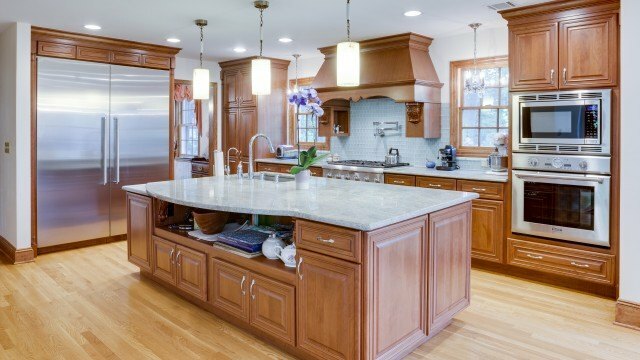 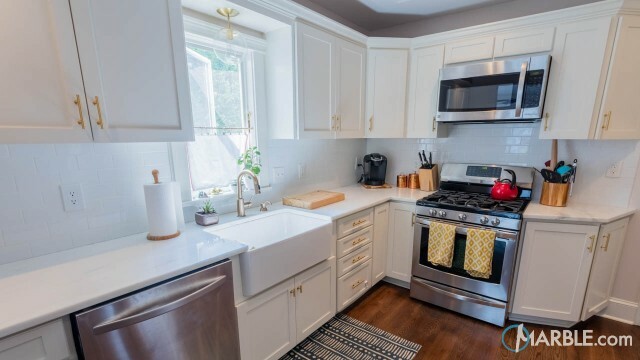 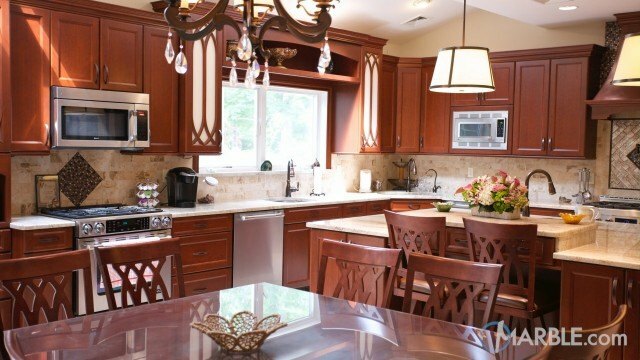 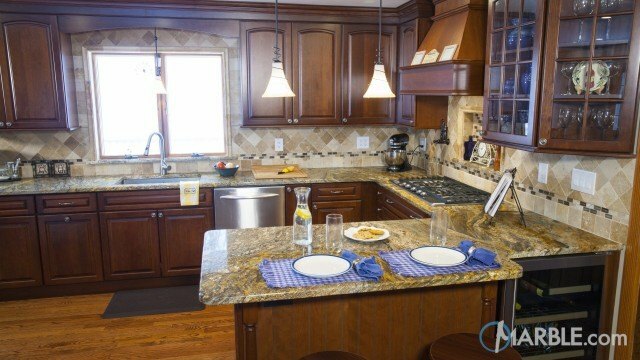 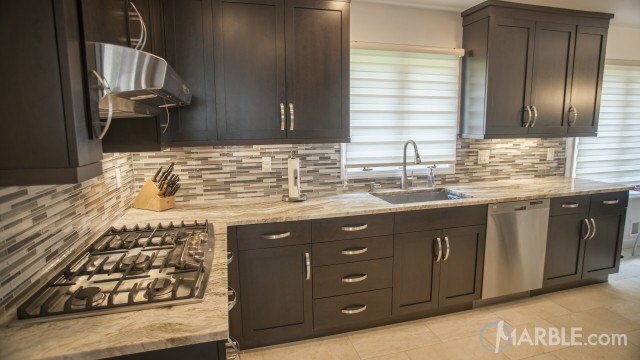 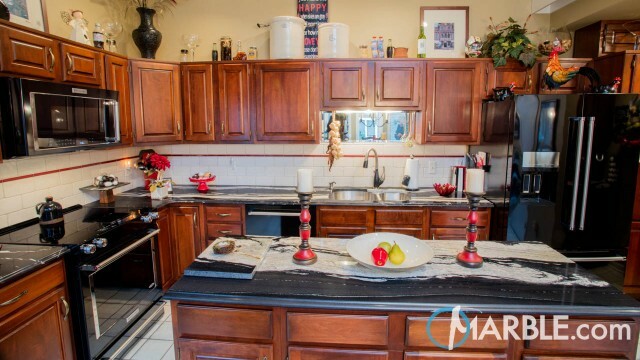 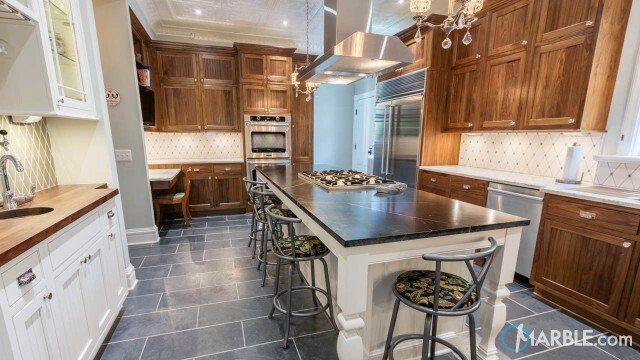 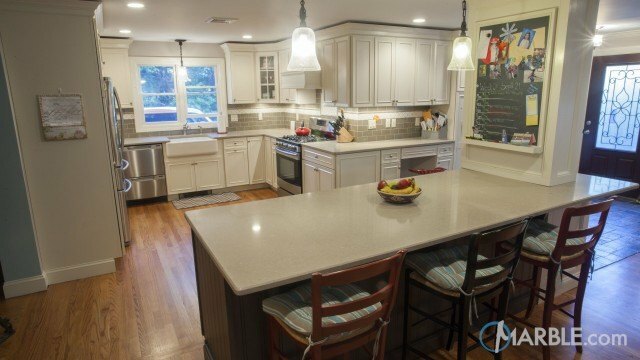 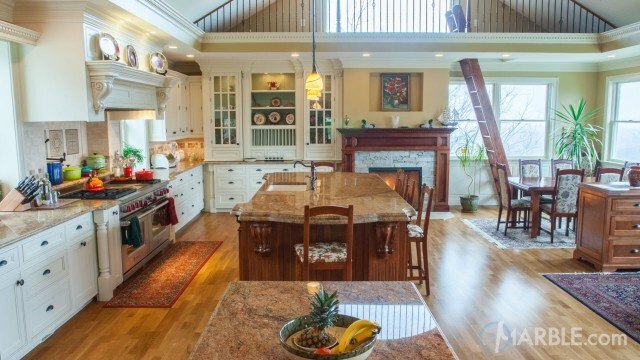 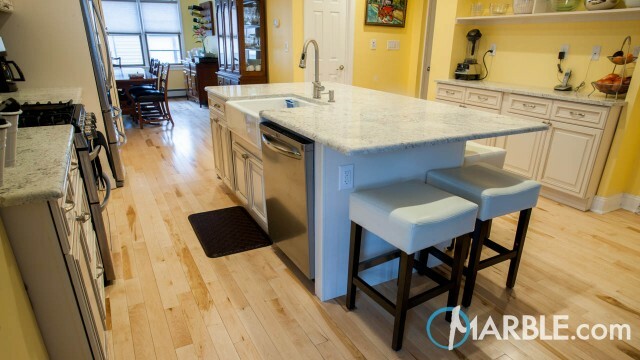 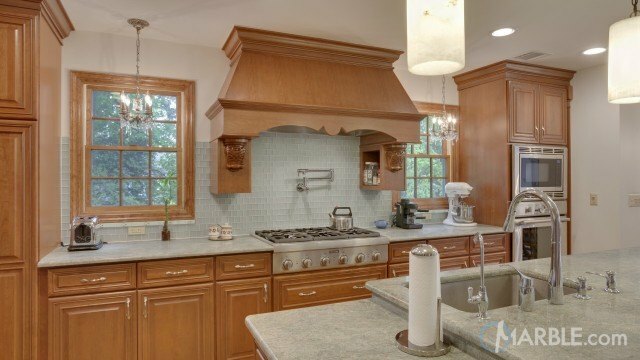 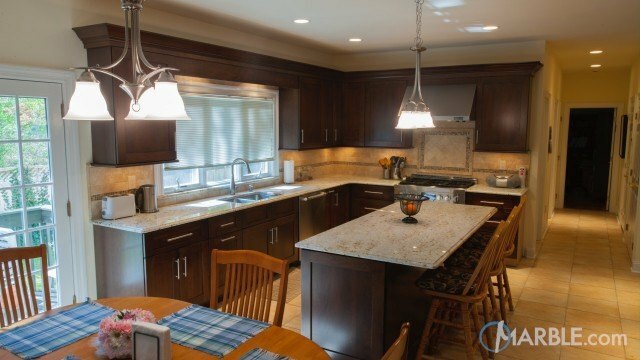 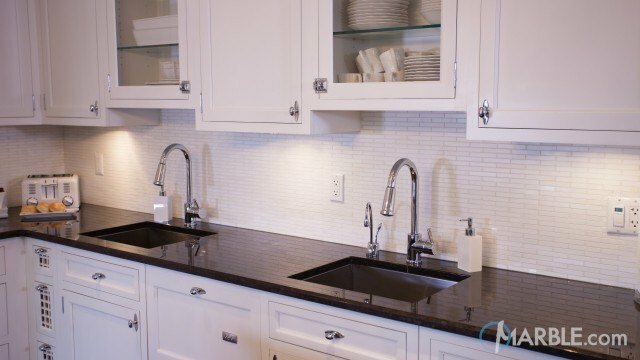 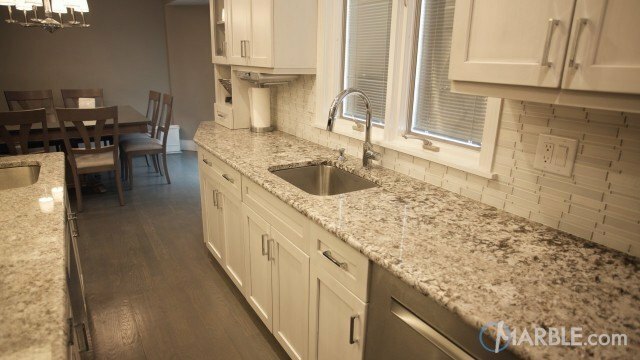 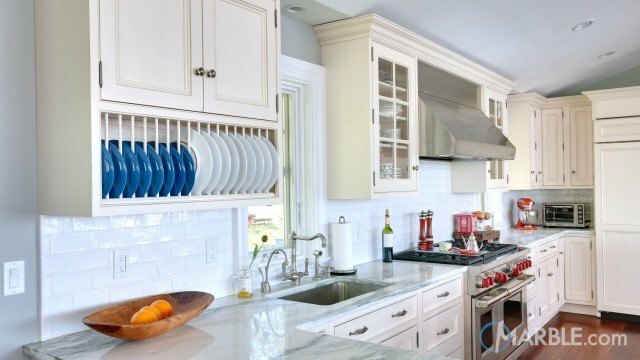 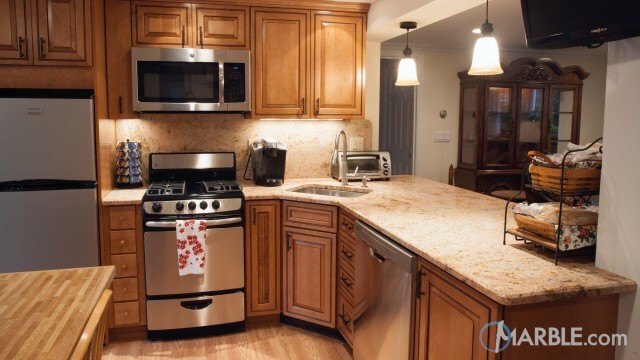 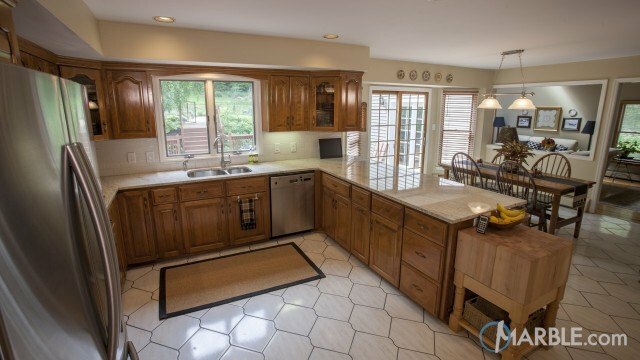 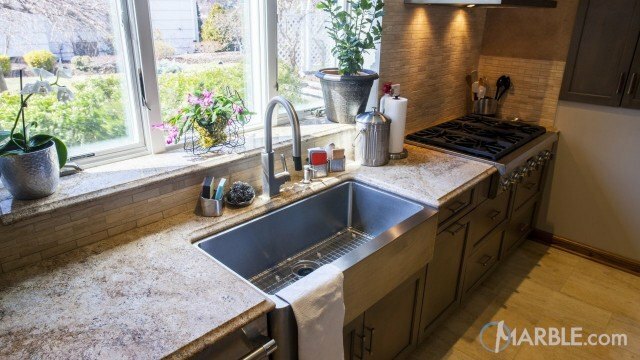 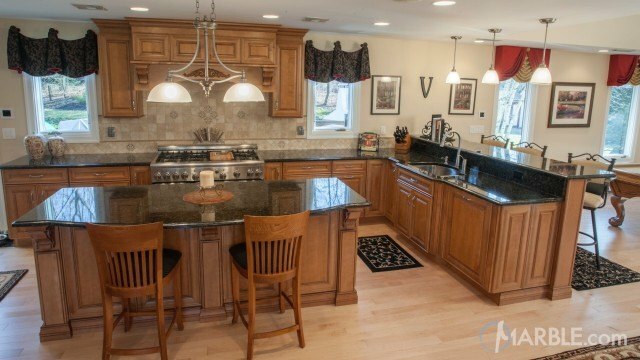 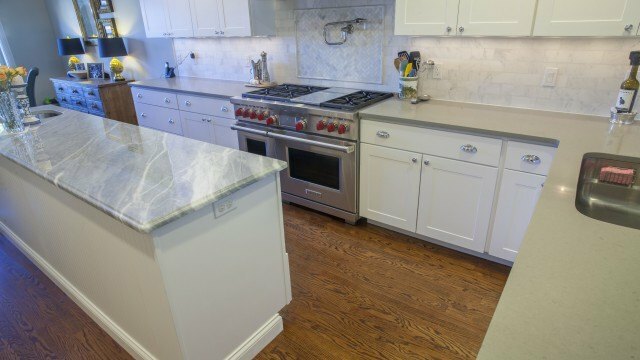 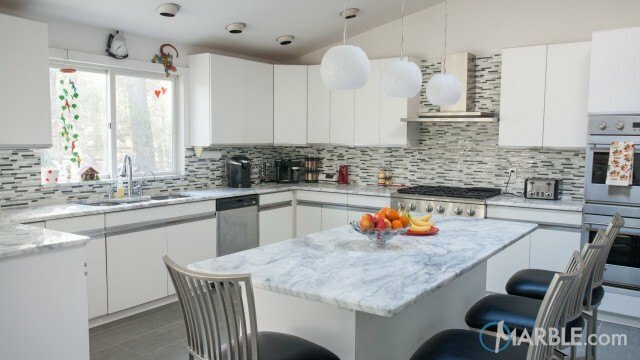 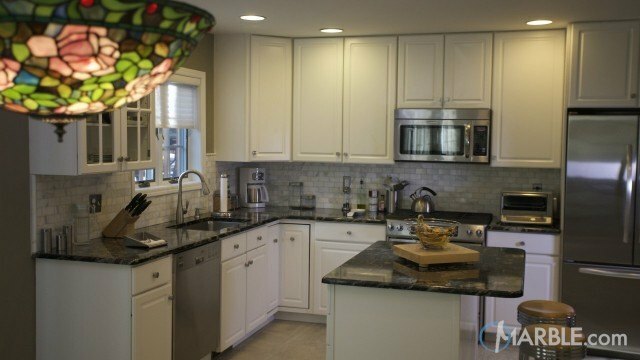 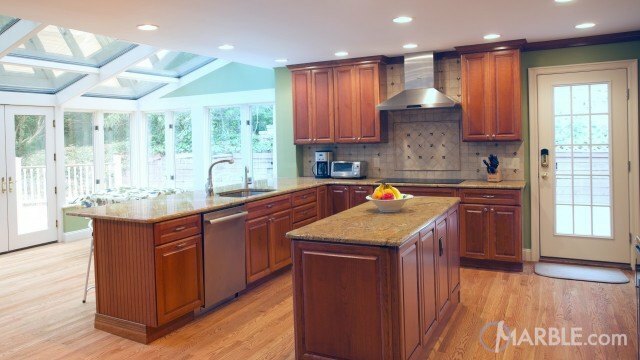 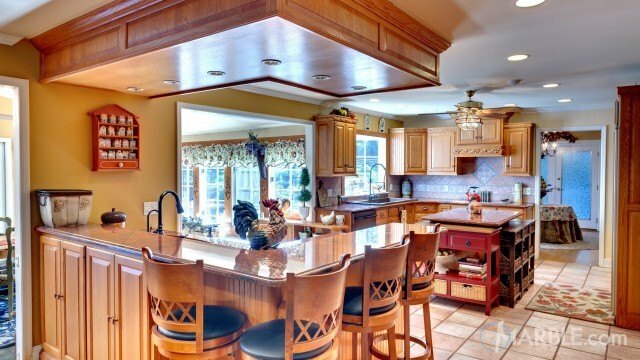 Two stainless steel sinks with matching goose neck faucets give this kitchen incredible efficiency. 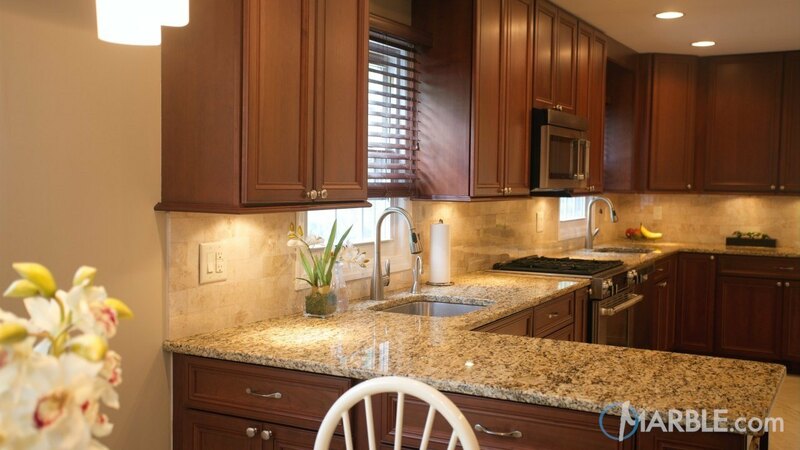 Under the cabinets, the light illuminates the work spaces of the counter top.